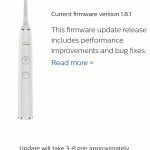 If you want more detail, you can read the full Sonicare DiamondClean Smart review further down the page or watch our video review. Performance and daily use of this brush are fantastic, it really sets the bar high and shows what is possible with neat innovative touches. 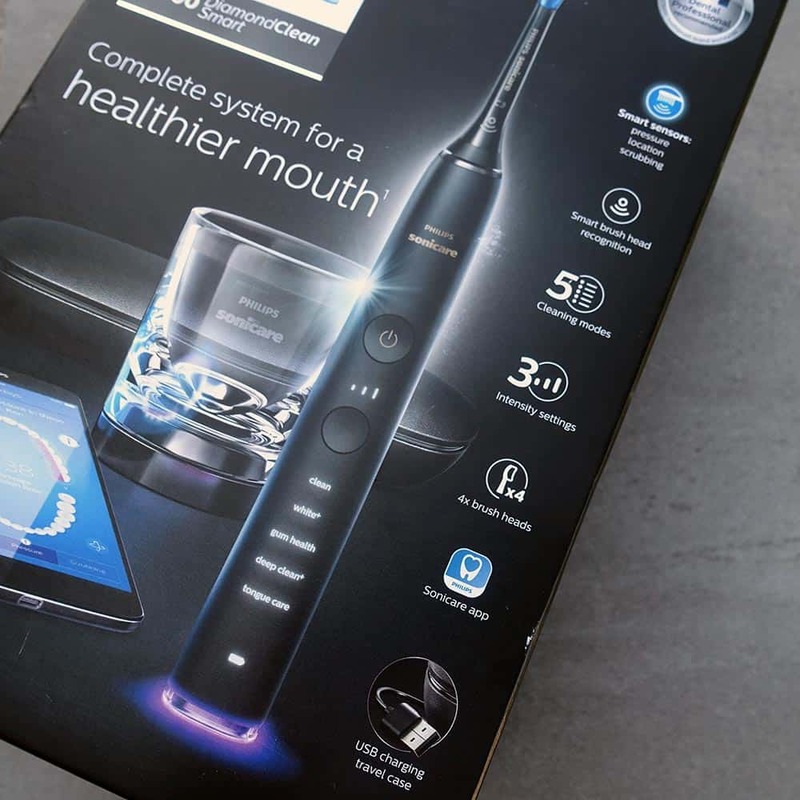 We actually rate it as the best electric toothbrush to buy if money isn’t an issue. The problem here is predominantly price. Sadly, the ticket price is eye watering. You can get brushes that provide equally good cleaning for a fraction of the DiamondClean Smart. 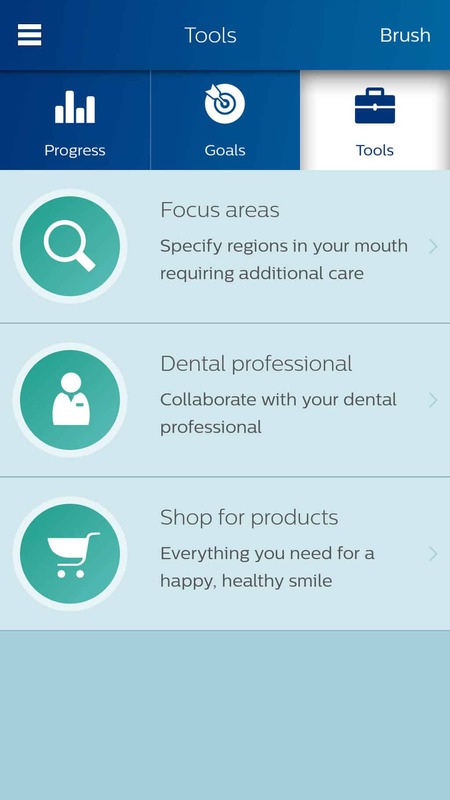 Yes, you may forgo features but you will likely rest easier with less money spent on other toothbrushes. However, if you can justify the spend you really will enjoy what is on offer with the Sonicare DiamondClean. 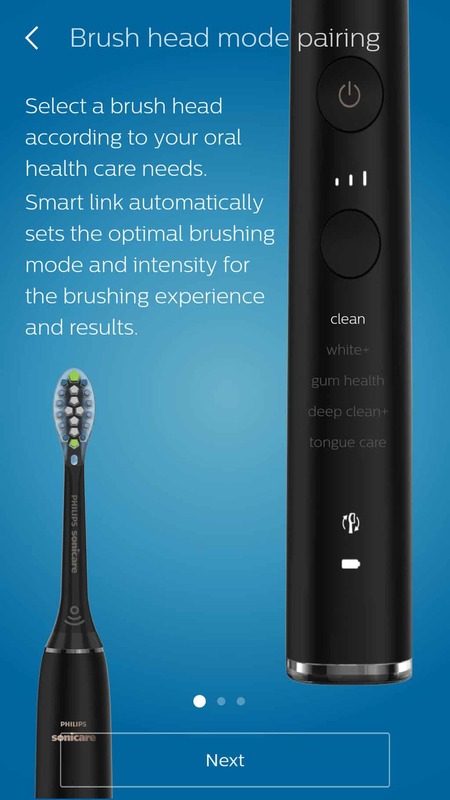 If you can afford it, the DiamondClean Smart is one very special toothbrush that gets our recommendation. For the sake of your bank account more than any other reason, we encourage you to consider alternatives. 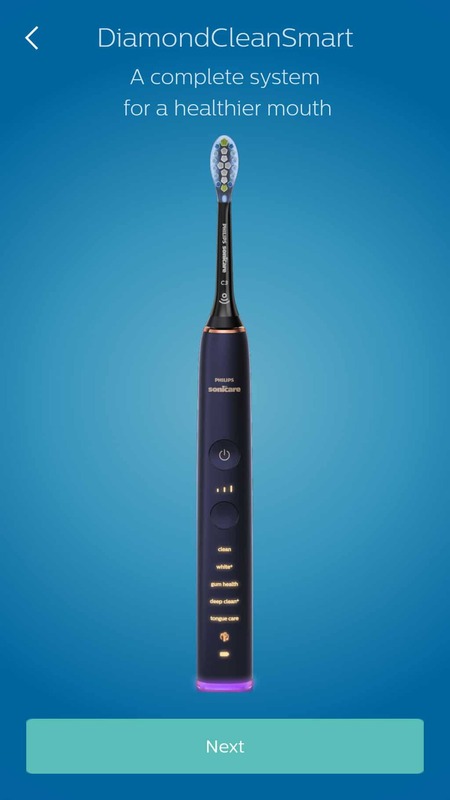 The Genius 9000 from Oral-B and Sonicare’s FlexCare Platinum Connected are fantastic brushes to consider. All in their own right are very good brushes. 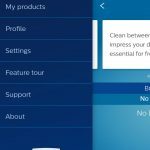 Some lack the features that the DiamondClean Smart offers, but they are less than half the price and by no means are you giving up half the features as a result. For a more detailed comparison of buying options, see our list of recommended brushes. 3. 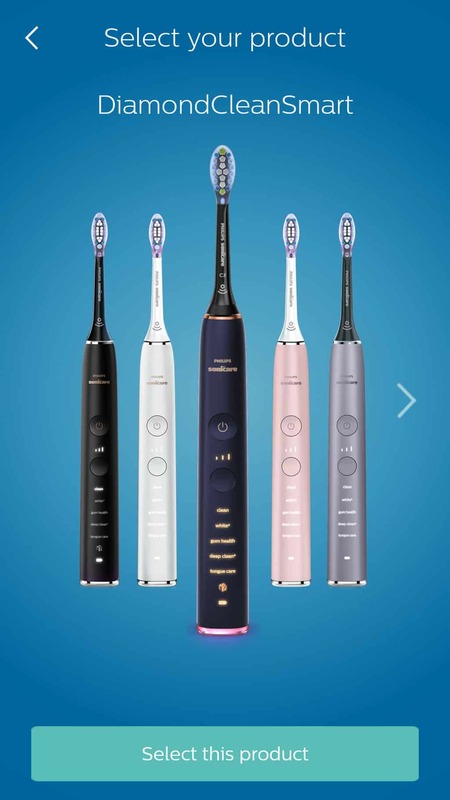 Where is the best place to buy the DiamondClean Smart electric toothbrush? At the time of review, the DiamondClean Smart is exclusively available from John Lewis. In time it will become available in a wider variety of outlets, including popular online store Amazon. You can view all current buying options here. The high ticket price will result in poorer availability in high street stores as there is not the same level of demand. It is fair to assume that big high street chemists like Boots and Superdrug will in time normally stock this model. 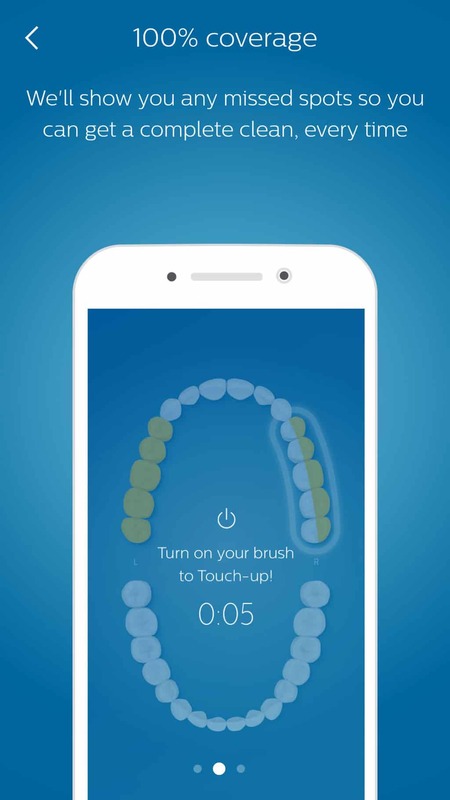 It was Oral-B who really kicked off the ‘smart’ and ‘connected’ electric toothbrush game. It has taken a few years to gain traction but today there is a bigger demand for such. To date, the DiamondClean has been the flagship brush for Sonicare. Now in it’s 3rd generation, when reviewing this toothbrush earlier this year, I concluded that I didn’t think it was quite good enough to compete with Oral-B. 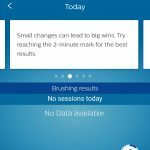 It is still an exceptional brush but take into account features and price and Oral-B takes the win in my opinion. Read the DiamondClean 3rd generation review. 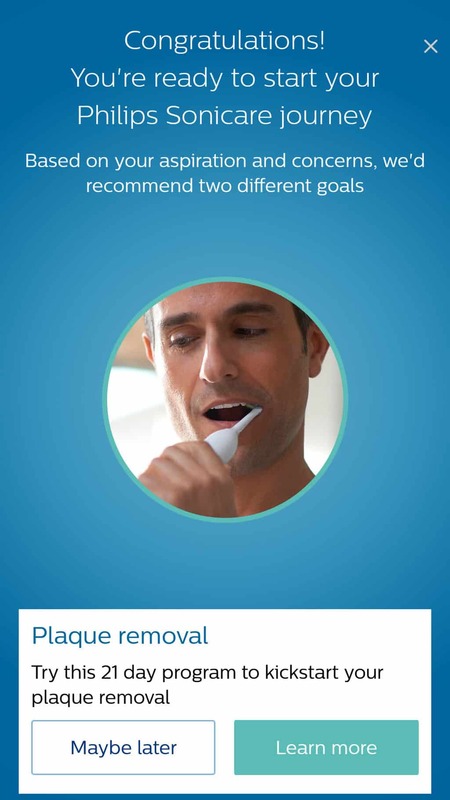 Sonicare began to take up the fight with Oral-B, launching the FlexCare Platinum Connected. Whilst the FlexCare Platinum Connected was an absolutely fantastic piece of kit, getting a full 5* in our hands on review, it lacked the finer detail and finishing touches of the DiamondClean series. But do we now have the solution to this problem? The DiamondClean Smart. I wish to make things clear from the outset, there are different DiamondClean models so to try an avoid confusion I am outlining the differences below. The brush on test/being reviewed here is the DiamondClean Smart in Black, model number HX9244/14. You should also be aware that there is also the DiamondClean series without the ‘Smart’ features. It is a very capable brush from a cleaning perspective but does not enjoy the connectivity options. Over the years this range has evolved and is now in it’s 3rd generation. You can read our comparison of the Sonicare DiamondClean vs Sonicare DiamondClean Smart to understand all the differences. Please note, if purchasing the DiamondClean Smart HX9954/53, it comes with a brush head storage compartment included also. 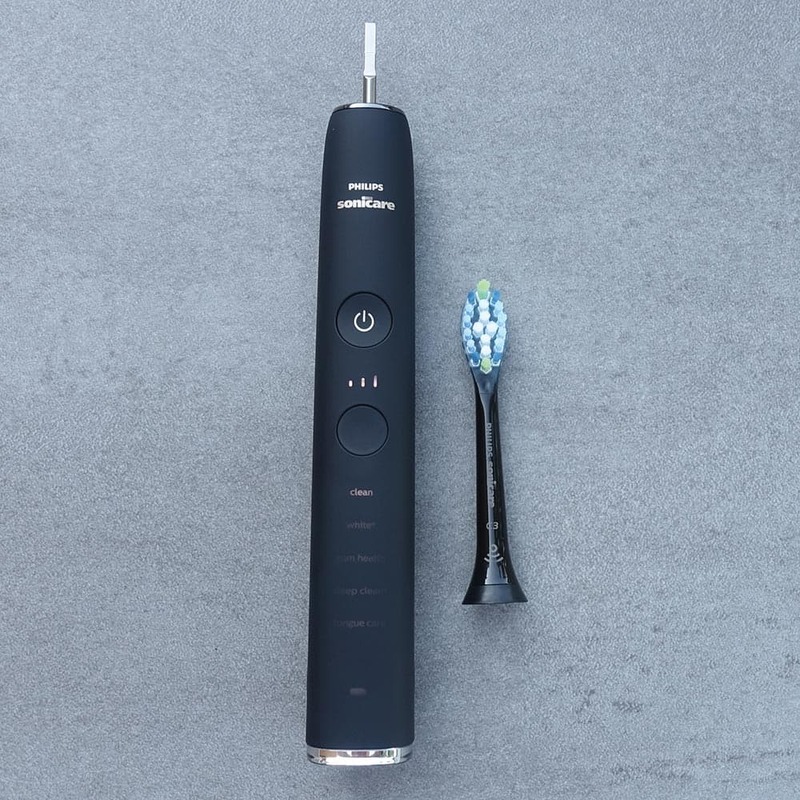 Introduced a little later, is the DiamondClean Smart 9100 (HX9901/14) which is in theory a more cost effective option, but includes fewer items in the box ( 1 x DiamondClean brush handle in black, 1 x W3 Premium white brush head, 1 x charging glass, 1 x clear charging base cover and documentation. 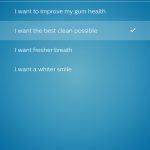 Here are what I consider to be the main plus and minus points for the Sonicare DiamondClean Smart. 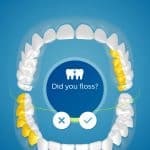 5 cleaning modes – Excellent modes engineered to help you achieve the best oral health you can. Battery life – An impressive 3 weeks of battery life is available from the fully charged Lithium Ion battery and it is simple and easy to charge. 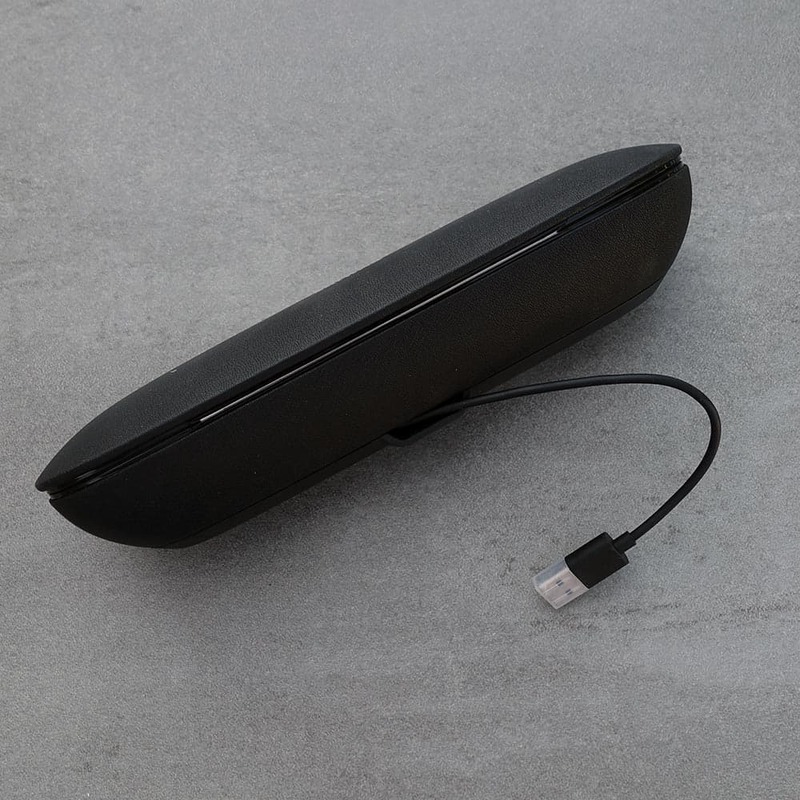 Travel case – Great for protection when being transported, the addition of in the case charging via USB is a real bonus for the more connected traveller. 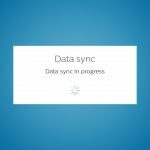 Automatic power off – It is a very simple yet effective means of conserving battery power that psychologically saves more effort than you think. 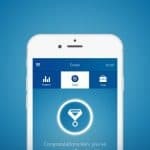 Connectivity – The app and the connectivity is well thought out and performs extremely well. Price – The suggested retail price and what it is actually selling for are too high to make this a justifiable purchase for many. Box Contents – No need for an option with or without a brush head storage option. This should be included as standard along with some form of smartphone stand. Now, depending on the model you opt for depends on the colour, but it is available in cashmere grey (silver), black or lunar blue. My personal preference is the black, due to the consistent design but more on that shortly. There is a smooth premium finish to the brush handle. It is hard to explain what it actually feels like. It is not like a glossy hard plastic. Of course, it is a solid construction but it feels more premium than most other brushes. 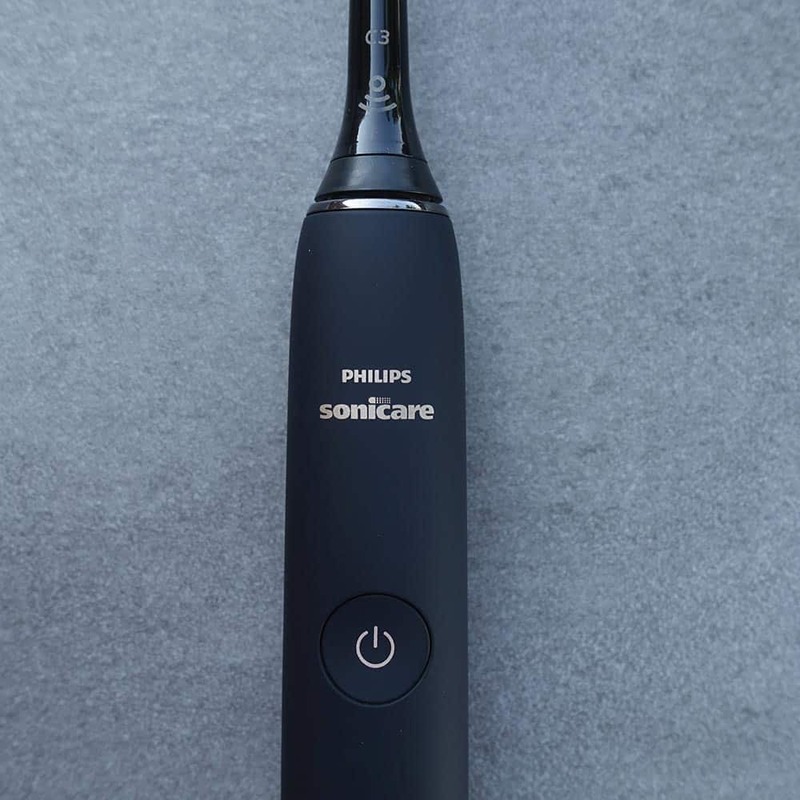 On the front of the brush handle, on towards the top is the Philips Sonicare logo in a muted gold colour. It is not as resistive as some power buttons nor does it give the same level of feedback. You can of course tell when you have turned the brush on or off. Below this button are 3 lights, that increase in size left to right. It looks a little like a phone signal might on your smartphone screen. Each light represents the intensity setting of the brush. 1 light, the brush is set to low intensity, 2 lights, medium intensity and all 3 well you are rocking on full power brushing intensity. Another concave button sits below this light feature. This is the mode/intensity button. 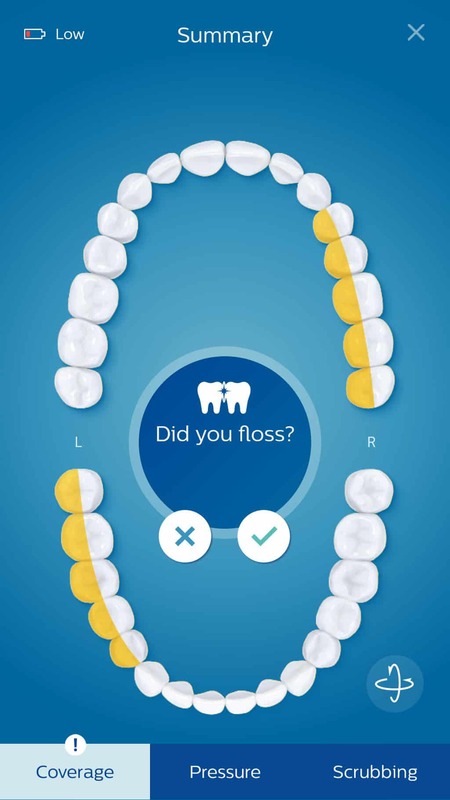 You press this to change between the 5 cleaning modes or change those 3 levels of brushing intensity. Getting towards the bottom of the handle now, the names of the available cleaning modes are built into the handle. Each one lights up when selected. They do not all light up at the same time. The light that shines out from these cleaning modes and intensity icons is a white light. The brush head icon will illuminate and pulse when it is time to change the brush head for a new one (normally at 3 months). It is a good visual reminder. This works in conjunction with the smart chip built into the brush head to know when to remind you. At the base of the brush is the LED light ring or the pressure sensor indicator. I will explain this in a bit more detail later in the review. But when activated it lights up a nice purple colour. The base of the brush is flat with no recess for a charging pin. The remainder of the rounded square handle is smooth to the touch with no additional icons, grips or features to speak of. Right at the top of the brush handle, just under where the brush head connects is a ring. On the black and cashmere grey models it’s a dark grey/black colour but on the lunar blue model it is gold. It contrasts the brush handle slightly. I will talk more about the brush heads later, but they are black in colour too rather than the more typical white plastic. These complement the brush handle well. There is not the harsher contrast of black and white. In hand the brush feels weighty, solid and robust, you can feel some of the price is built into the handle. Of course there is a lot of clever technology built into that handle that we can’t see. I know it is not particularly pretty, but a few extra grips on this handle would be nice. It’s a balance between design and practicality, but when wet this brush is most likely going to be a little more slippery than an Oral-B model that has more rubber grips and naturally resists the slip from the hand better. Those with limited grip or movement in fingers and wrist might find the DiamondClean Smart a little more tricky to handle. 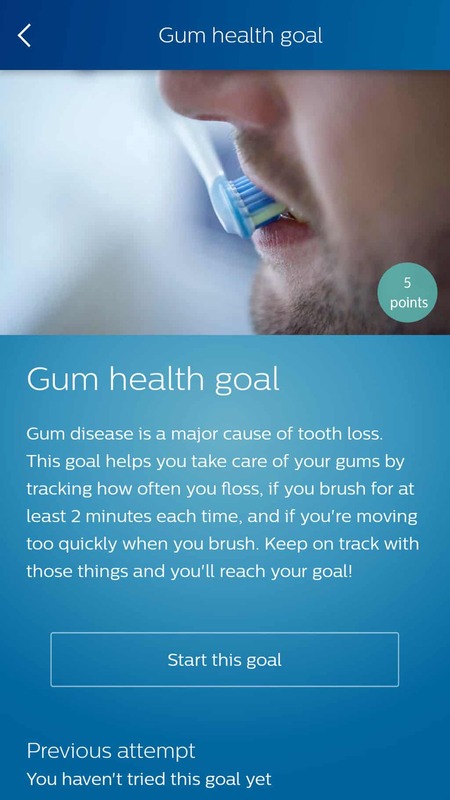 Now the whole reason for investing in an electric toothbrush is to clean your teeth. And Sonicare does a good job of this too. 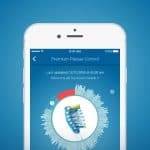 Studies have suggested that Oral-B’s oscillating, rotating and pulsating heads offer better overall cleaning performance. But there is also plenty of supporting evidence to show how Sonicare does an equally good job. 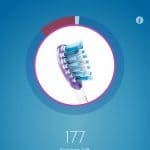 Sonicare brush heads tend to be a bit larger, so may when compared to Oral-B’s rounded heads feel like they cannot reach as deep into the mouth and into tighter gaps. 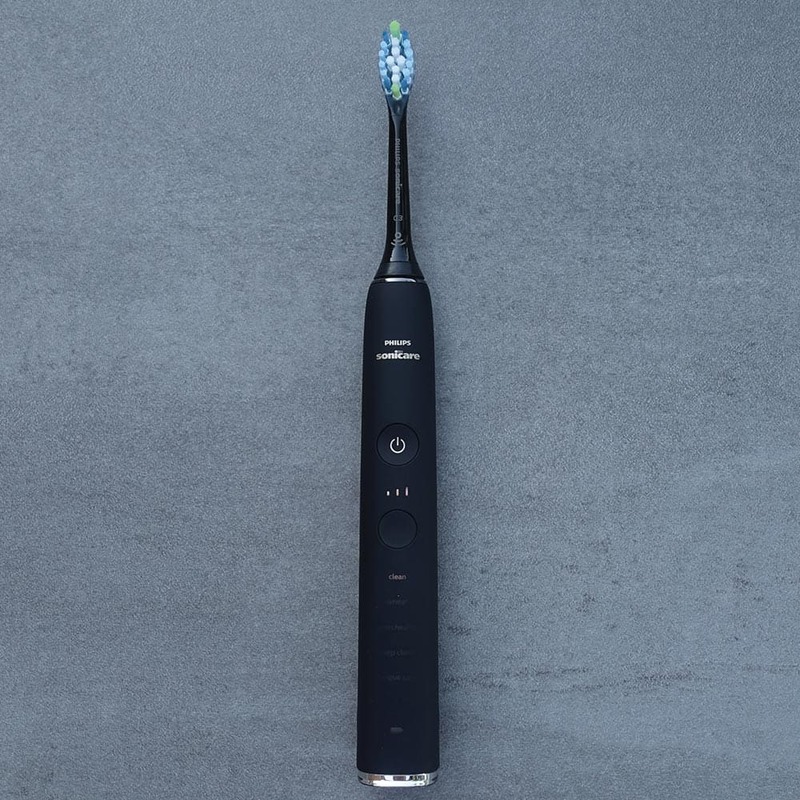 It is clinical debate over which is better ultimately, but at the end of the day, there are many benefits to an electric toothbrush. 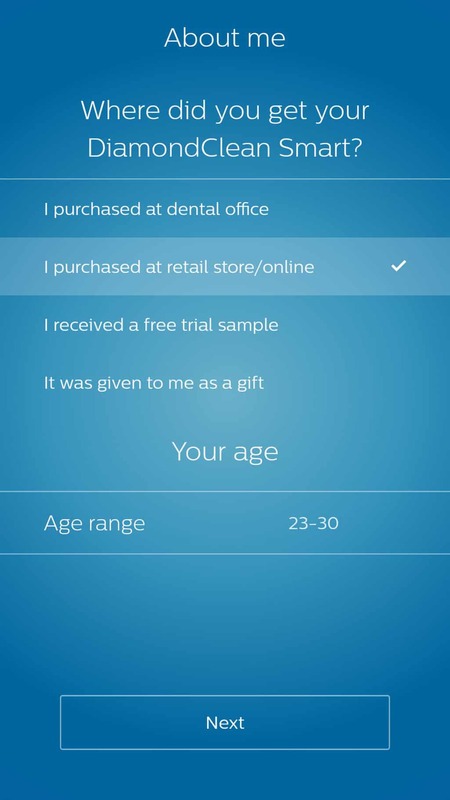 My personal preference is for the Oral-B style, they feel a bit more aggressive on the teeth and gums, which I like. 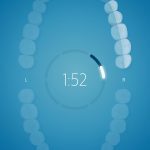 Sonicare is a softer experience in my mind. You get 4 styles of brush head included with the DiamondClean Smart. If opting for the newer HX9901/14 variant, just 1 x W3 Premium White brush head is supplied. There is something special about these brush heads though. Yes, they have been scientifically engineered with the bristles to be the right length and angle, the black coloured plastic compliments the brush handle superbly well, but equally as clever is the fact that these brush heads are smart. Little chips are built into each brush head. 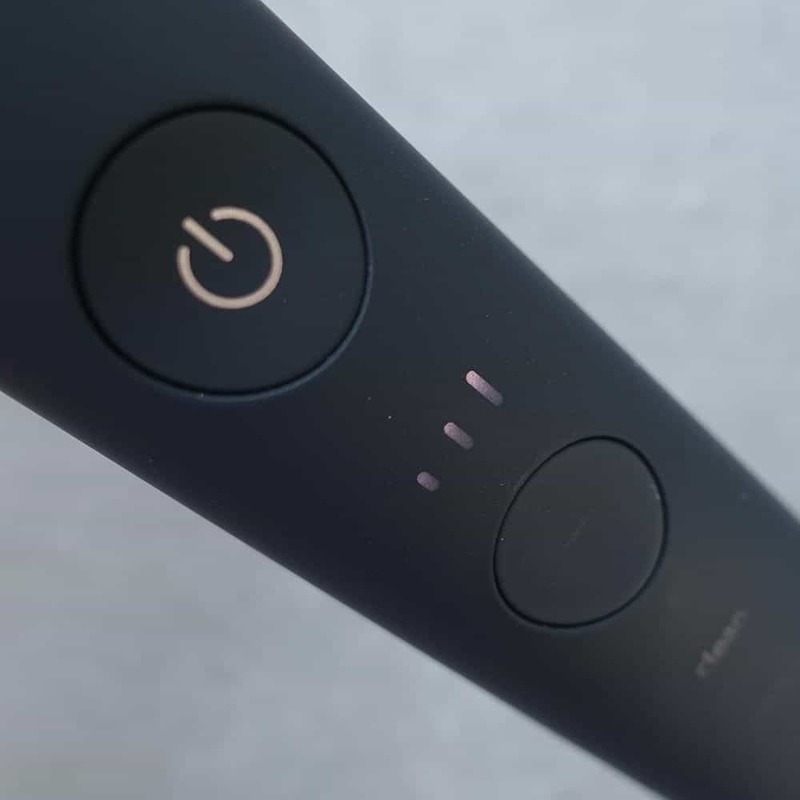 When connected to the DiamondClean Smart brush handle (no other) the brush will automatically be set to the most appropriate cleaning mode for that brush head. Clean lasts for 2 minutes and designed to be used with intensity level 3. It gives a thorough and complete clean. 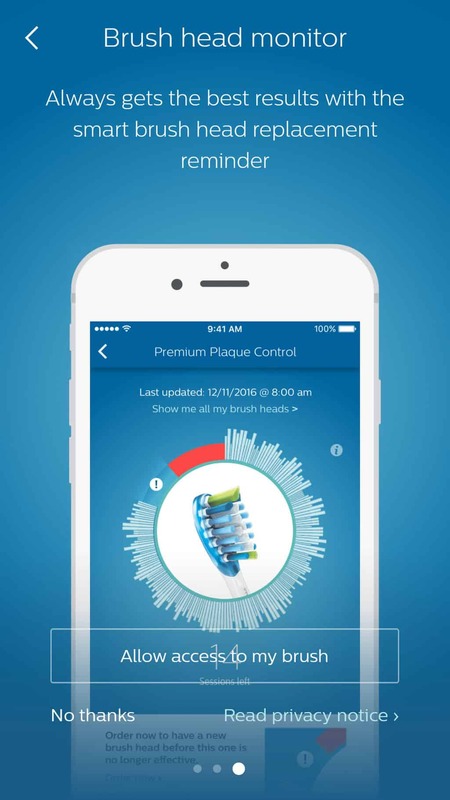 It is recommended that you use the Premium Plaque Defense brush head with this mode. This is the mode most will use on a daily basis. White+ lasts for 2 minutes and 40 seconds and is designed to be used with intensity level 3. The best brush head to use is the Premium White brush head. 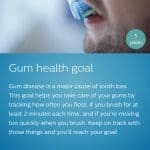 Gum Health lasts for 3 minutes and 20 seconds and is designed to be used with intensity level 3. The best brush head to use is the Premium Gum Care brush head. 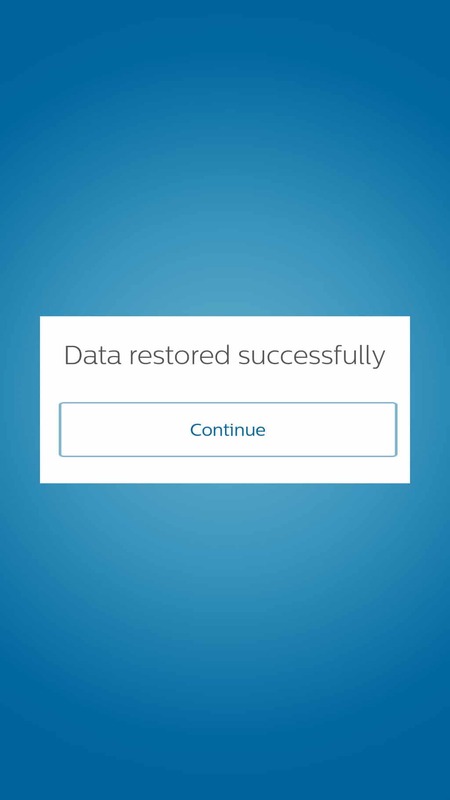 The amount of time DeepClean+ runs for depends on whether or not the handle is connected to the app. In connected mode, DeepClean+ runs for 2 minutes and provides BrushPacer feedback every 20 seconds. In non-connected mode, DeepClean+ runs for three minutes and provides BrushPacer feedback every 30 seconds. Tongue Care lasts for just 20 seconds and is to be used with intensity level 1 and the Tongue Care+ brush head. The exception here is the DiamondClean Smart 9100, model number HX9901/14, introduced in March 2019 that has just 4 cleaning modes. It does not have the tongue care mode. You may wish to consult the instruction book that comes with the brush for a step by step guide on how to make best use of each of these modes. So, fit the Tongue Care brush head and the brush will know to operate the Tongue Care mode. You can manually change what mode is used with each brush head and what intensity setting you want, but the brush is clever enough to know and preset some settings for you. 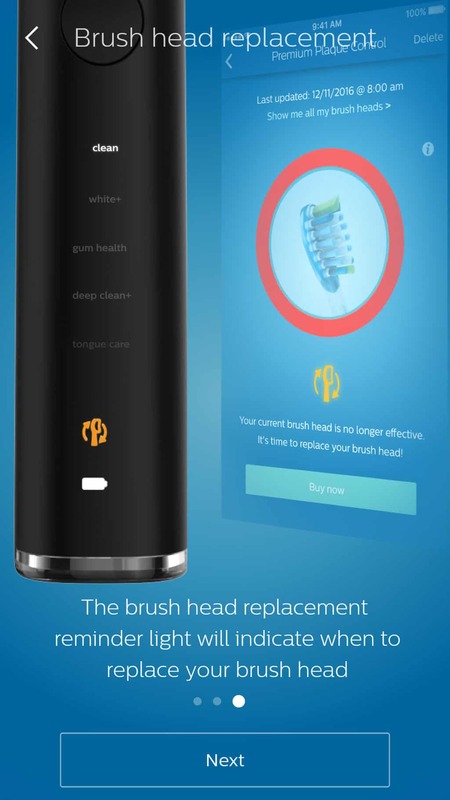 The brush will remember the last cleaning mode used if the brush automatically powers off at the end of the cleaning cycle. So if clean was the last mode used and the brush turned itself off, it will launch into this when powered on, if the brush head has not been changed. Now, these super smart brush heads are very cool. It is a neat touch and something we have thought brushes available today should be able to do. They go one stage further and work in conjunction with the brush to light up a brush head reminder icon (when appropriate) to give you a visual clue it is time to replace the brush head. Very clever. It knows how long each head has been used for because of the chip. There is a problem though. This innovation comes at a cost. £54 for a pack of 4 brush heads! That is £13.50 each. This is a whole new pricing category! However, given the price of the brush itself, it is about right! 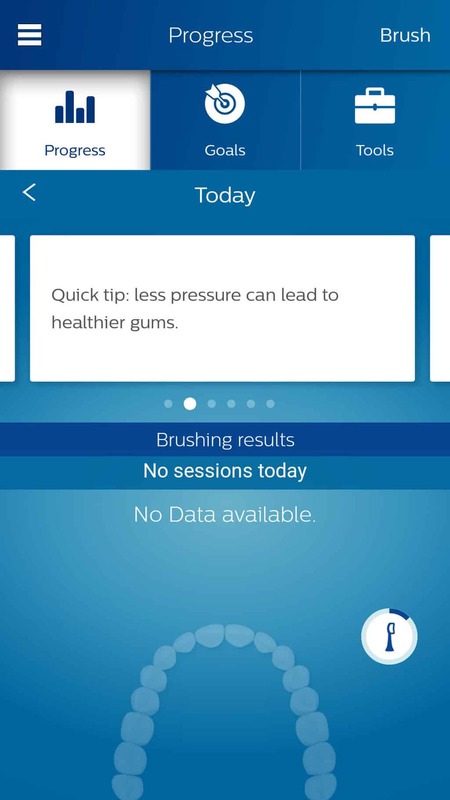 You can use standard Sonicare brush heads (cheaper, but still expensive) on the DiamondClean Smart, but the brush will not automatically change cleaning modes, it will also not tell you when it is time to change brush head. Most of the other brush heads are finished in white plastics, which do not fit quite so well with the colour scheme, but the benefit is a cost saving. 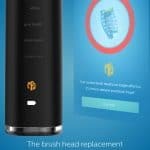 Smart brush heads like these will also not offer any smart functionality on any other brush other than the DiamondClean Smart. If you want to consider your options, check out our ultimate guide to Sonicare brush heads. 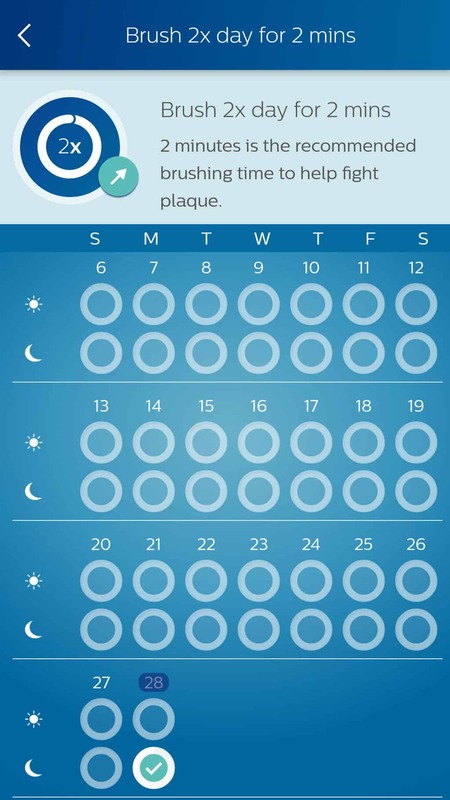 All Sonicare brush heads (with exception of tongue clean) have reminder bristles that are the blue in colour, which over a typical 3 month period will fade from a relatively strong blue to white colour. If they turn white, replace the head. This is another visual clue if the flashing light on the handle doesn’t do it for you. 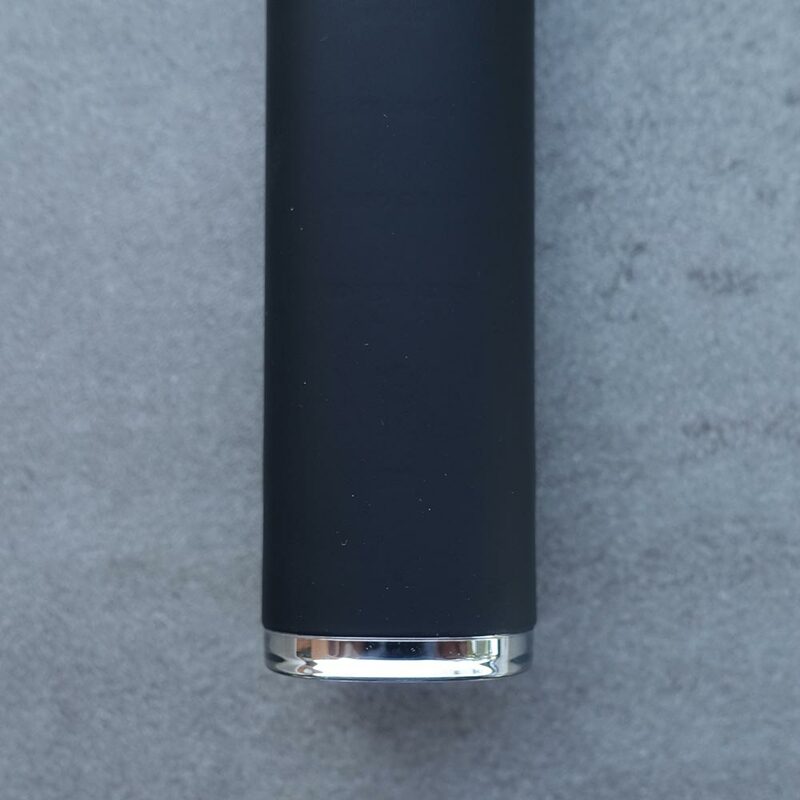 Inside of the handle is the battery, the motor and all the electronic gadgetry that makes this brush as smart as it is. 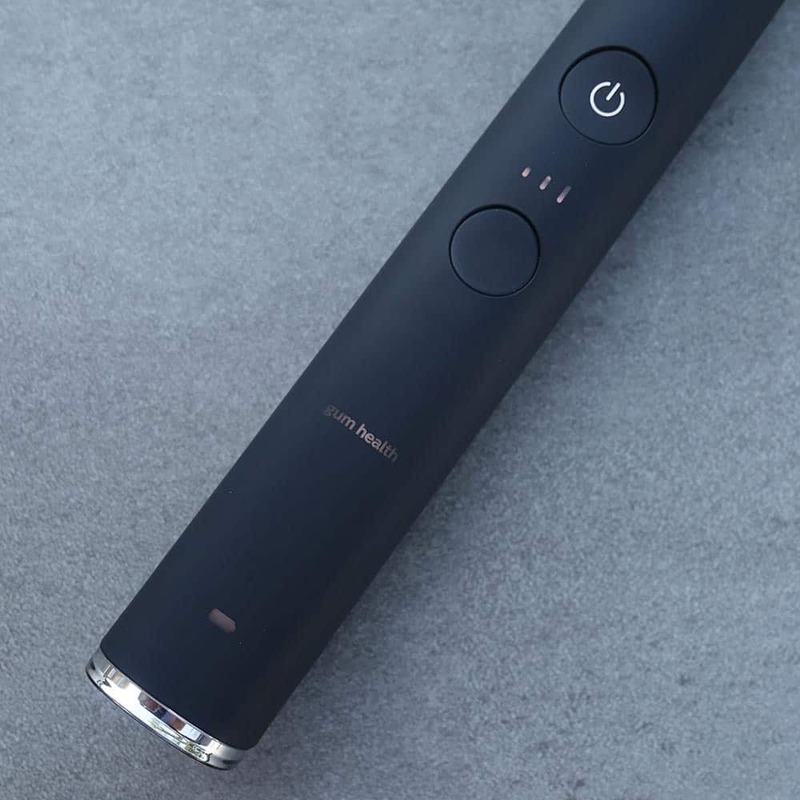 There is a whole section in this review dedicated to the battery life, but to touch on it for a moment, inside the handle is a Lithium-Ion battery that lasts up to 3 weeks. Sonicare has always been good when it comes to battery performance and really set the standard. One way in which they conserve power is by having the brush automatically turn off at the end of each cleaning cycle. Whilst this is power conserving, to me, this is also a fantastic feature in that it clearly tells you when the clean is over. This functionality ties in with the built in timer that is in the brush. 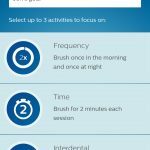 At normally 30 second intervals (subject to cleaning mode) you get a notification via a beep, a pause in the motor and brush head motion that it is time to change quadrant and focus on cleaning the next section of the mouth. As important as the brush, is the way in which you clean your teeth. 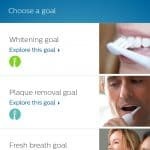 Sonicare goes to quite some detail in the manual about how to clean your teeth, but we too have a page dedicated to showing you how to do it properly. Sealed inside are all the electronics, which means that this brush is water resistant. You can rinse it under the tap and it will survive a life a bathroom. Sonicare does not advise use in the shower and you should not submerge the brush in water. 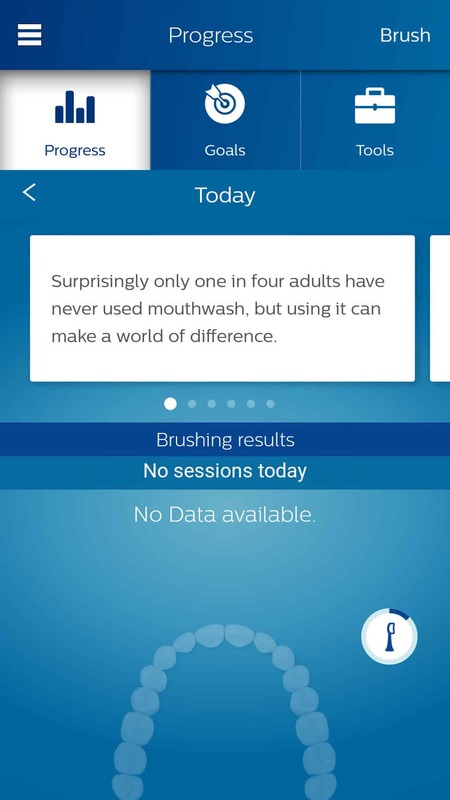 Part of the ethos behind this brush, particularly the smartphone app is about education – encouraging and advising to clean better. It is not a lecture on what’s right and wrong, but tips and diagrams to show you how to be better and improve over time. One feature that helps with this is the pressure sensor. 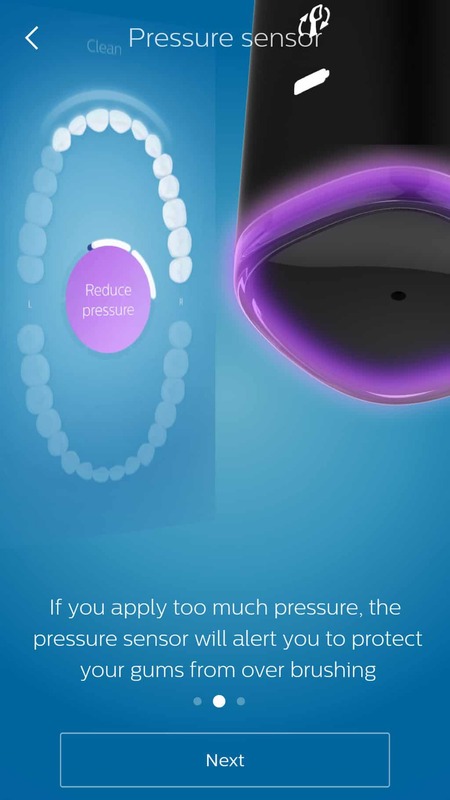 Built into the brush, when the sensor detects when too much pressure is applied to the teeth it reduces the speed of the brush motor and the light ring on the bottom of the brush handle lights up to emit a purple light. It will remain purple until such time as the pressure is released. The bristles need only skim the teeth. 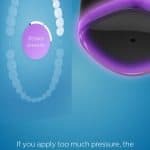 Too much pressure can be damaging. If you use the smartphone app it will show on screen too. As pretty as the light is, you do not want it to come on. Some might argue the purple light is a bit of a feminine colour, there is no option to change it. I like the principle of how it is implemented, it looks smart without detracting from the design. However, unless in a dark room the light is actually not that obvious. 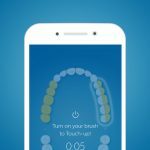 You may see it if brushing in front of a mirror, but I think Oral-B’s neck placement is more obvious, not to mention brighter. 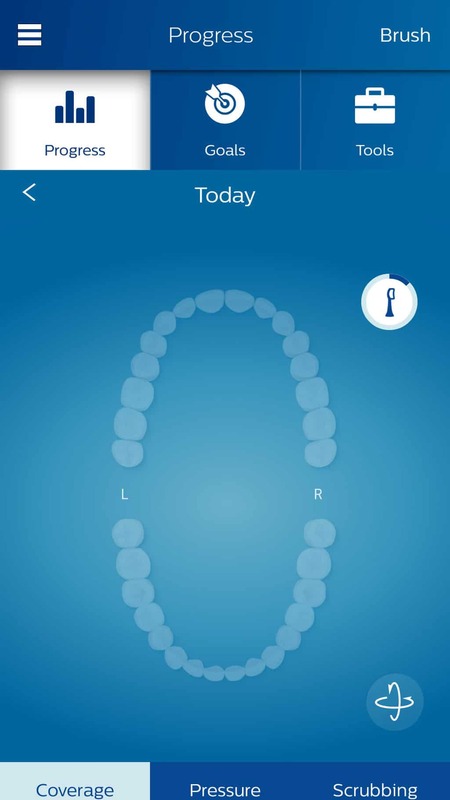 It would be nice if there were some of the customisation options like there is with the Oral-B genius 9000 LED Smart Ring. Part of the reason multiple cleaning modes exist is that we are all different. We have different needs and preferences. 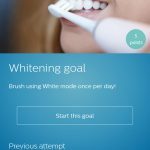 Some might have particularly sensitive teeth and gums whilst others have particular goals, to whiten the teeth for example. 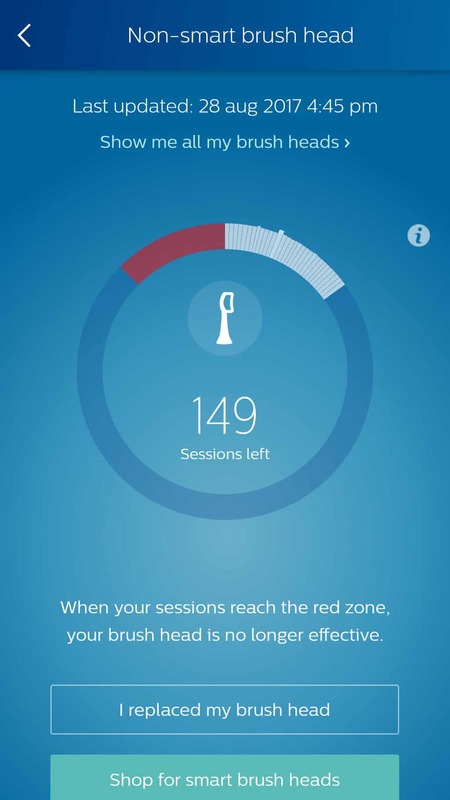 The DiamondClean Smart gives you the option to choose between 3 different intensity levels: low, medium and high. Based on the brush head you attach, the intensity will be selected automatically. 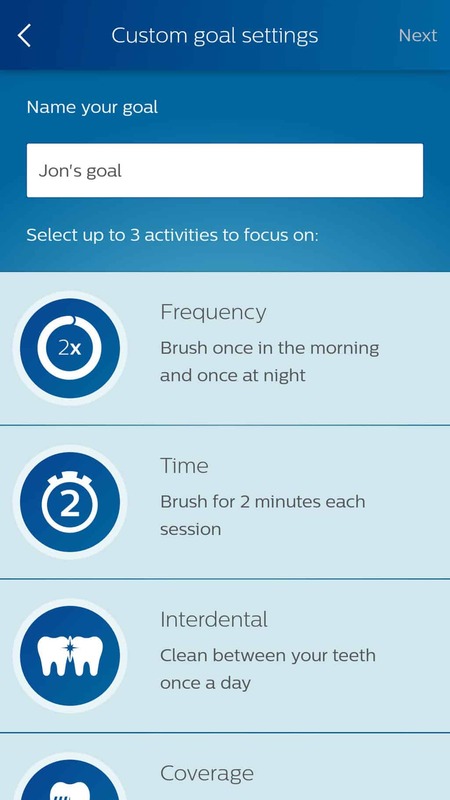 If you wish to change to a different intensity, you can do so by pressing the mode/intensity button while brushing. 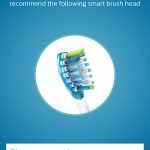 Easy-start is an option that gently increases the power over the first 14 brushings to help you get used to the brushing with the Philips Sonicare DiamondClean Smart. 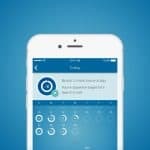 There is then of course one of the main reasons for opting for the ‘Smart’ DiamondClean, the app. 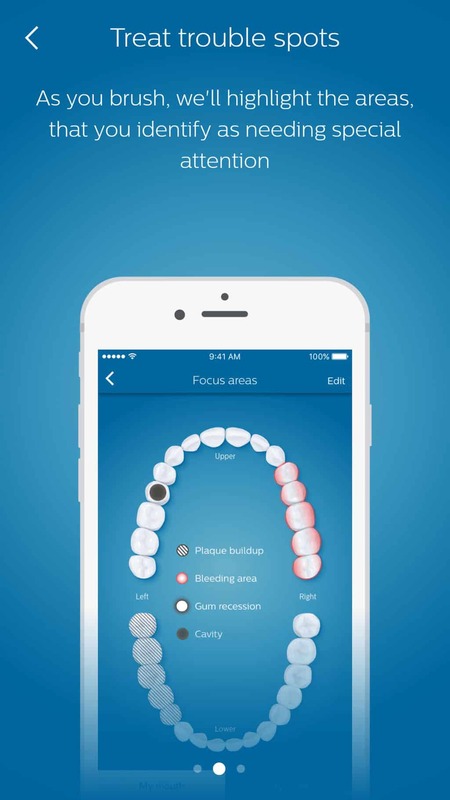 Available for iOS or Android, the Sonicare app can be downloaded and installed onto your smartphone. 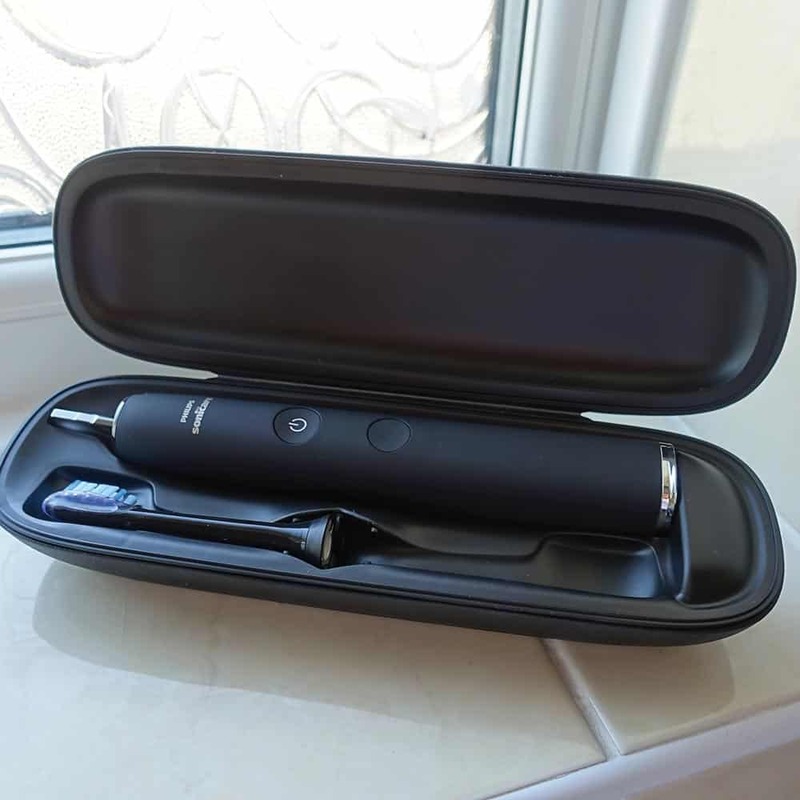 It uses Bluetooth to connect to the brush and synchronise data. This is the ‘Smart’ element really coming into play. 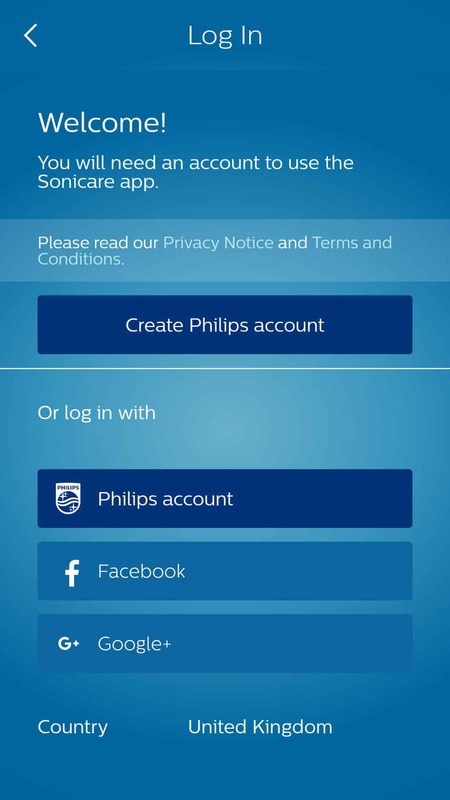 Using the Philips Sonicare app will help you to improve your oral health care habits. 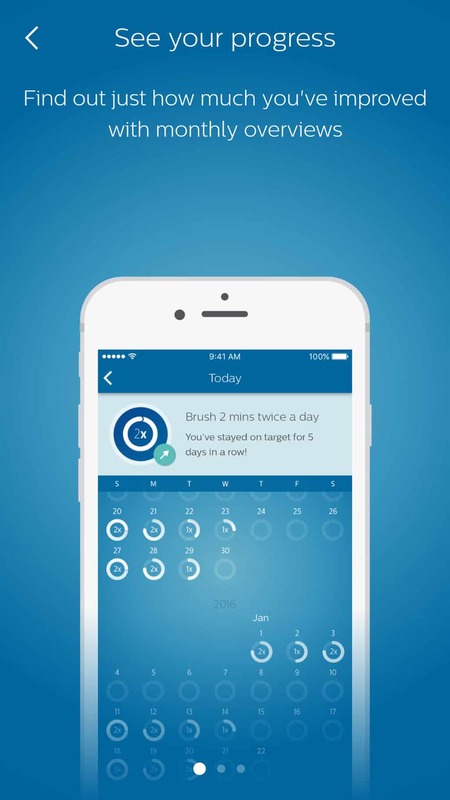 It gives you real-time feedback while brushing, informs you if you missed any spots when brushing, tracks your brushing behaviour over time and provides useful tips and tricks. 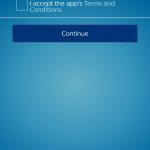 There are actually a lot of parts to the app itself. Take a good look at some of the screenshots included as this will often give more information than I can just from writing about it. 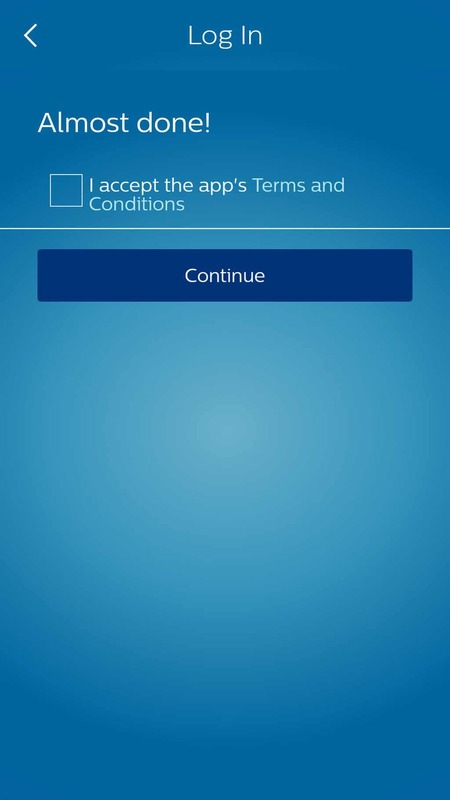 The app is well thought out and works reasonably well and I did not experience any crashing or stalling in the app. 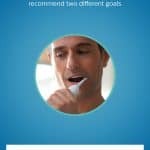 I can’t help but compare the Sonicare app to that of Oral-B’s for their connected toothbrush, there are a lot of similarities. 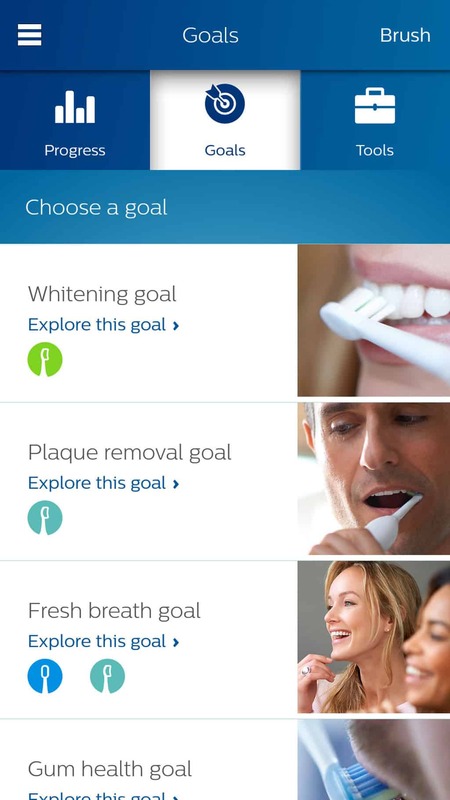 Overall I prefer the Sonicare app experience to Oral-B. 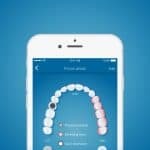 Oral-B has improved, but the implementation of using the smartphone camera for enhanced tracking with the Genius whilst novel and to be commended is just not practical. 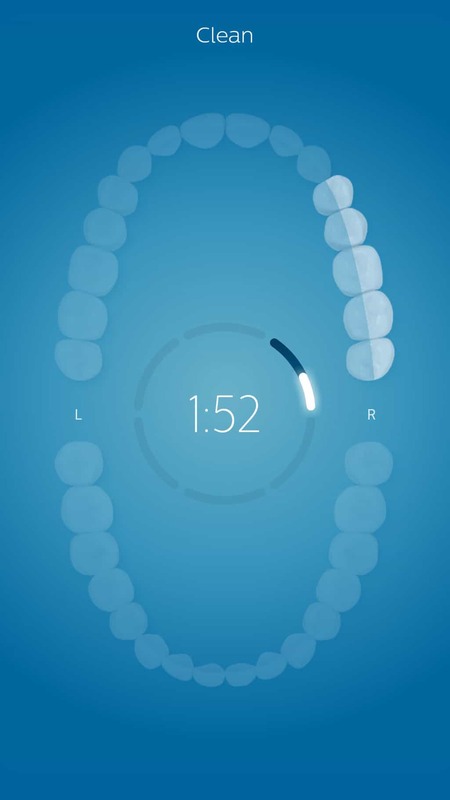 Sonicare win for simplicity. Whilst you do need the phone and app nearby, you do not need to be actually looking at your phone the whole time. You also get an alert if you are moving the brush too much which is good to see. The cleaning approach with an electric toothbrush is different to that of a manual one. 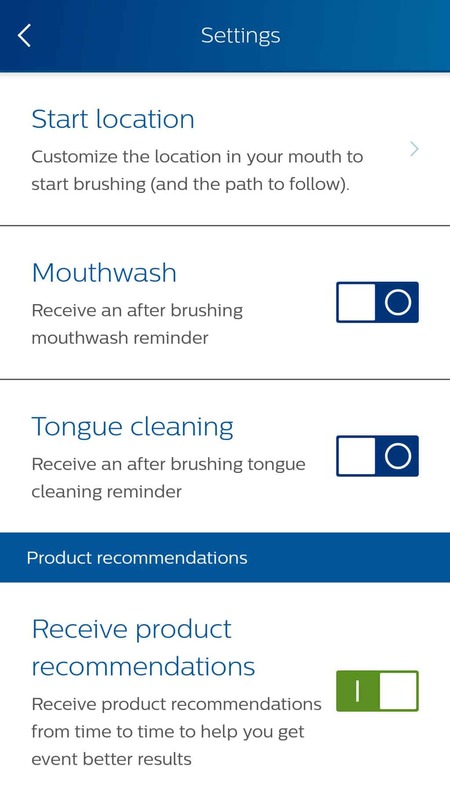 The app also has reminders for flossing and rinsing with mouthwash and more. These prompts can be turned on or off, but if kept on it will log your responses and keep track of these details too. At the end of any clean, you get a visualisation of your clean with areas for improvement highlighted along with details on how long you cleaned for etc. In an ideal world, we would like to see the ability for more people to share a brush handle between users (changing the brush head of course) to get more value from it. Whilst possible, sadly the Bluetooth connectivity option becomes redundant. This brush can pair with multiple phones but is only capable of logging one set of data. There is no way to differentiate between users. The handles see’s any brushing session as that of the main user. Thus sharing the DiamondClean Smart handle will defeat the very point of the brush. I am sure in time there will be a solution to this, but presently there is not. Additional elements to the app aside from the logs of your cleans, flossing and rinsing are the battery status; still a bar and not a percentage (%). 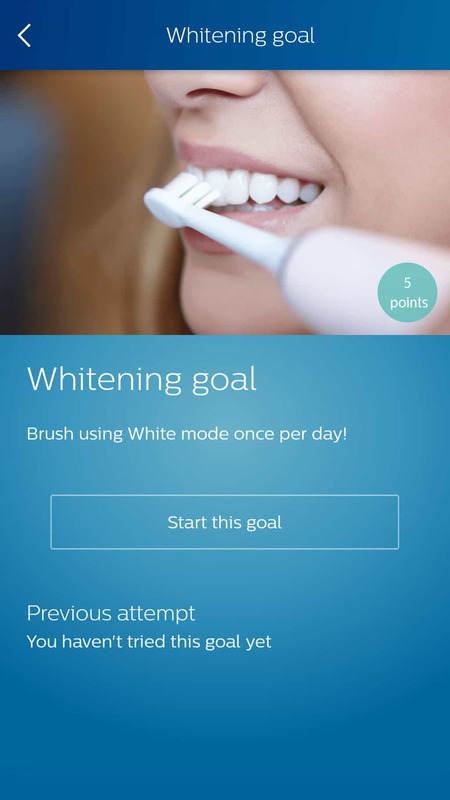 Goals allow you to achieve certain targets such as gum health and whitening, you have some pre-set but can create your own. 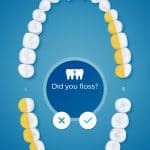 You can get more granular setting focus areas that will focus you on spending more time on certain areas of the mouth. 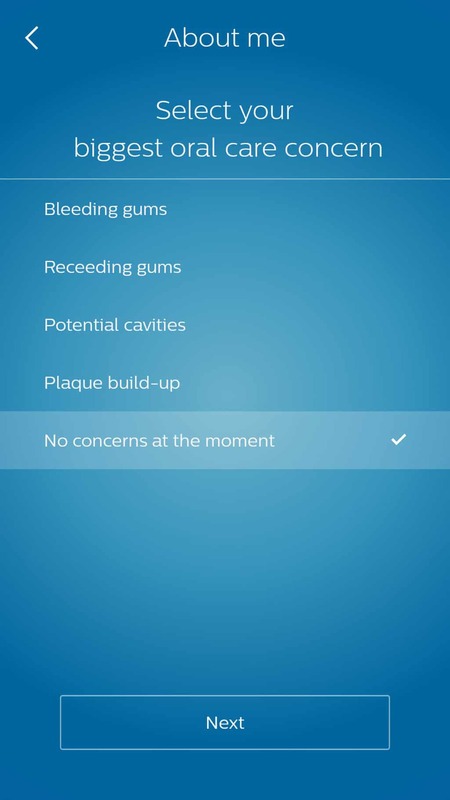 These can be identified as a plaque build up area, bleeding area, gum recession and cavity. 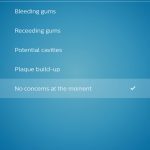 Keep track of dental appointments and even store progress reports. A great experience overall. Some may find it overkill and at times I think this. Do I want or need such? 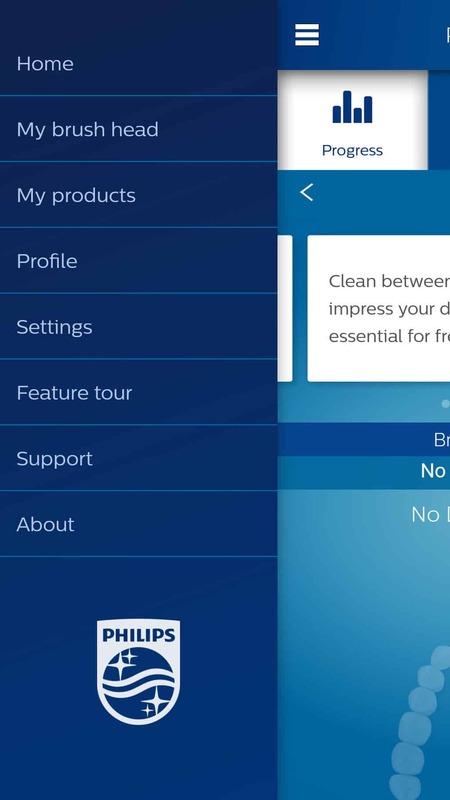 If you have any question over the value of the app, the DiamondClean Smart is not really for you. One of the biggest oversights with the Smart is that in the box there is no smartphone holder. 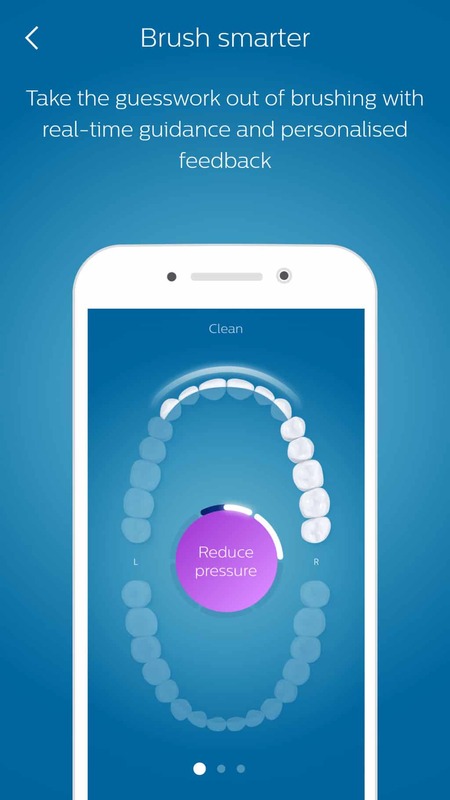 I am not suggesting a bit bulky suction cup affair as per the Oral-B Genius 9000, but some neat cradle that a phone could sit on whilst you are brushing, to hold the phone up at an angle that you can view the screen and keep a hand free. It would cost just a few pounds to include and finish the package. 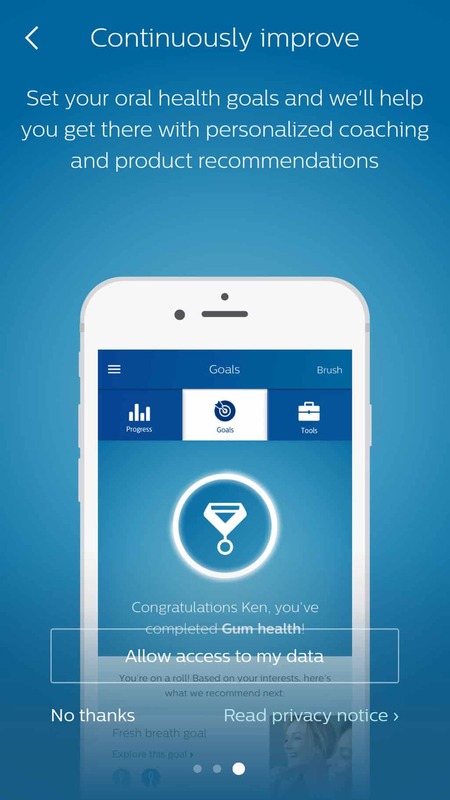 Sadly instead you will either need to hold the phone in hand to see what’s going on in the app and track your performance or fashion your own stand. 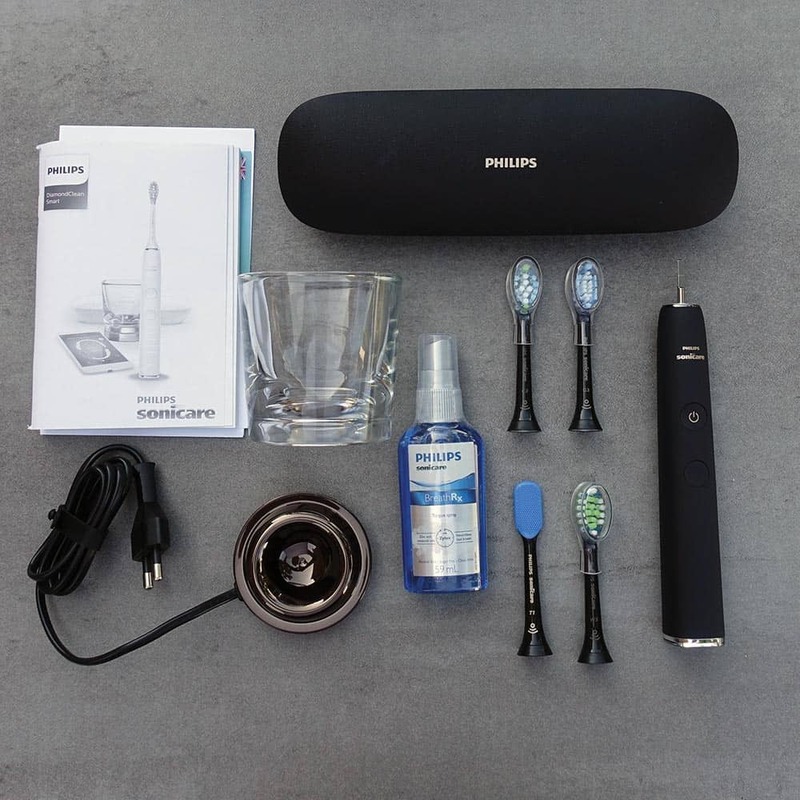 As for other in box extras, aside from the handle and the brush heads, you get a travel case, charging glass and a bottle of Antibacterial tongue spray. If you go for the premium DiamondClean Smart, the HX9954/53 you get the brush head stand. 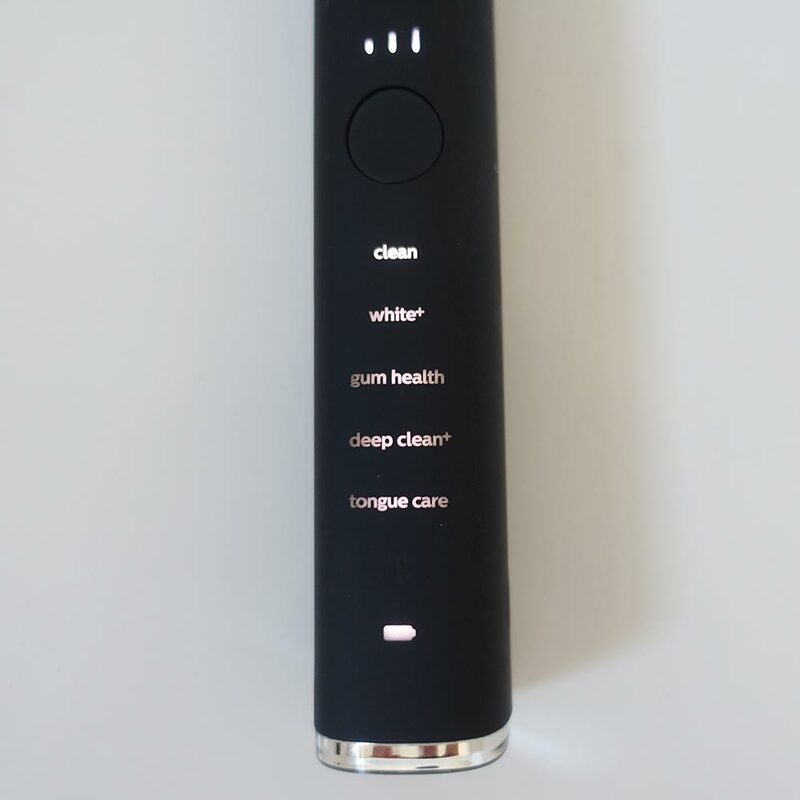 If the name of the product was not obvious enough, the spray is designed to be used in conjunction with the tongue cleaning mode and brush head to keep your mouth and specifically tongue clean, killing off residual bacteria that is often the cause of bad breath. 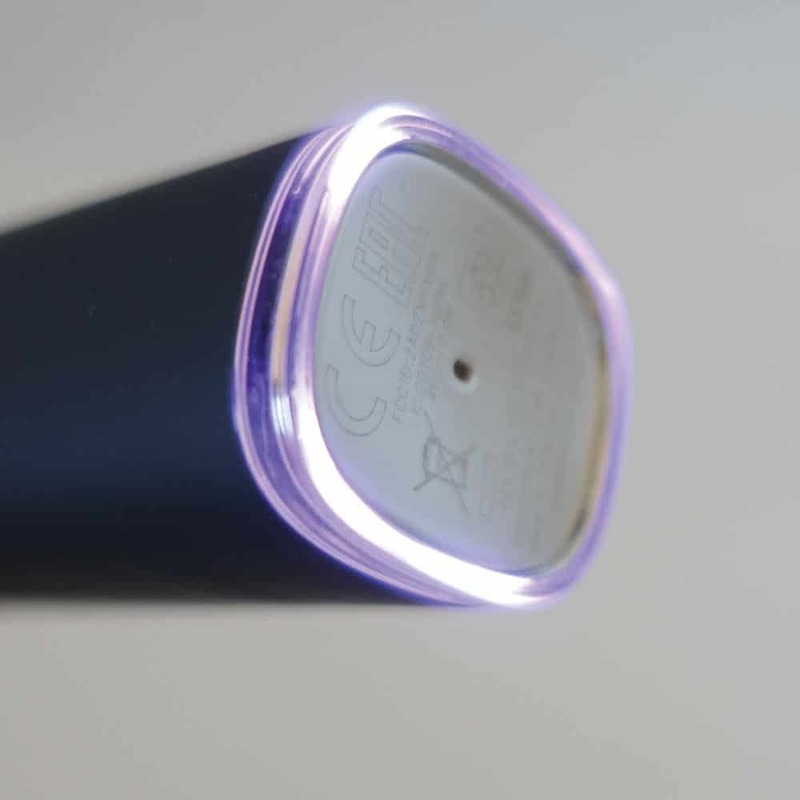 The charging glass is the same as the second generation DiamondClean’s charging glass. On the current 3rd generation, the glass has been replaced for a plastic stand. Think of a glass tumbler you might have a drink of spirits like a Brandy or Whiskey from. Put the Sonicare logo on the front of it and sit it on a plate that has a power connector attached to it and you get the idea. The power connector is a 100-240v 2 pin connector designed for bathrooms in the UK. If you want to connect to a 3 pin mains socket you will need to invest in an adapter. The good news here is that it supports international voltages if travelling. However, the smartest or coolest way to charge is in my opinion through the travel case. Without doubt, the best travel case I have experienced to date for a toothbrush, the hard case is finished in a soft touch leather. 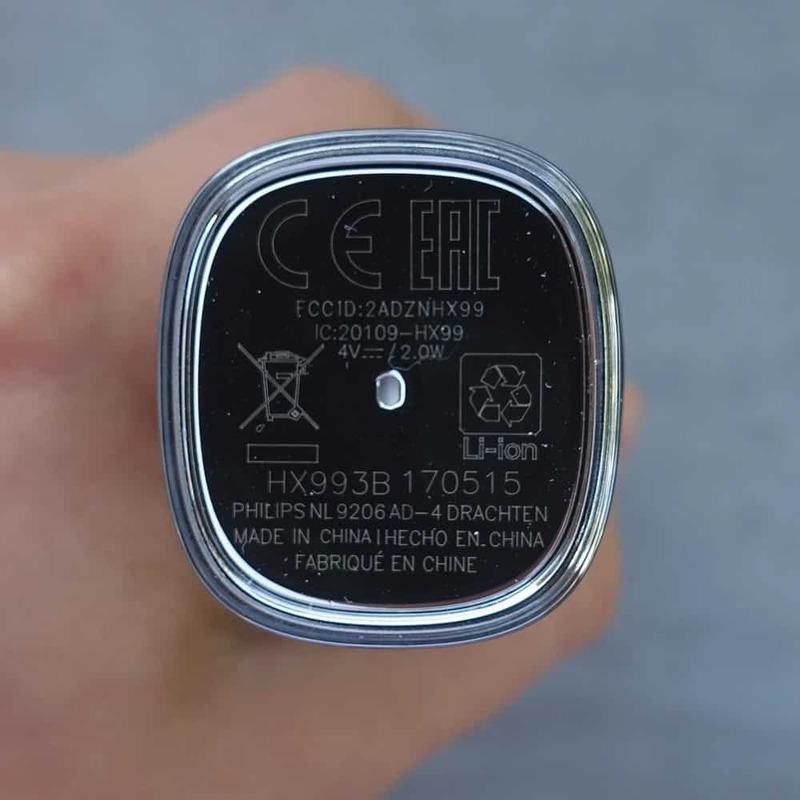 Be aware, that this case is not supplied with the newest DiamondClean variant, the 9100. Last and by no means least is the brush head storage compartment. Included only with the HX9954/53, our model did not come with this. However, I wish to speak about it as it is another nice touch. It holds up to 3 brush heads upright inside a stylish glass container. It protects them from dust and debris and makes access to them easy. Extremely disappointing is the fact this is not included across the range or that another type of storage compartment is not included. It is a shortcoming of the product. Finally for this section, for added peace of mind the DiamondClean Smart comes with a 2 year warranty. Sonicare always do a top job when it comes to battery life, they have for a long time set the standard. I would like to say that this DiamondClean Smart is no exception, but the box states a 2 week battery life. Most brands and here at Electric Teeth quote battery life based on the performance of the default ‘clean’ mode. In my hands on testing, I managed some 50 cleaning sessions on the standard ‘Clean’ mode with the intensity set to high. 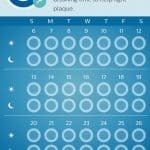 That’s 100 minutes of usage time or 25 days (over 3 weeks), thus living up to the standards previously set by Sonicare. 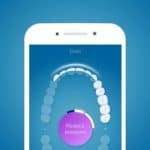 However, the Gum Health cleaning mode lasts just under twice as long as the standard clean mode, thus reducing the battery life to just 2 weeks. 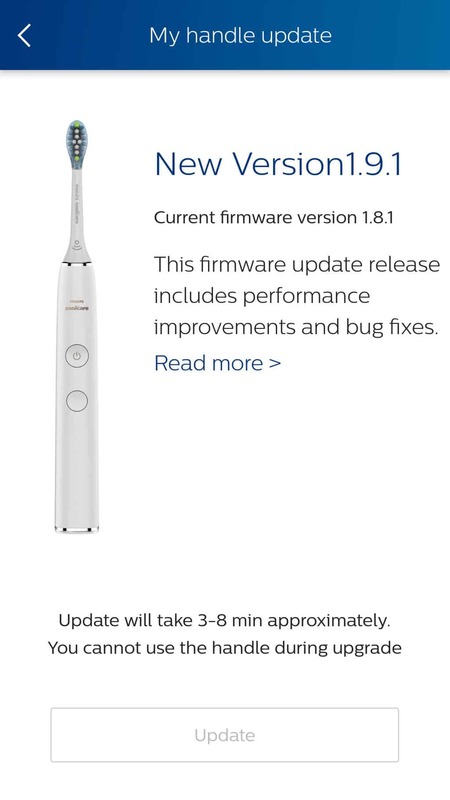 Whilst Sonicare are actually quoting the worst battery life you might get from the brush, I think they are underselling themselves a bit here. 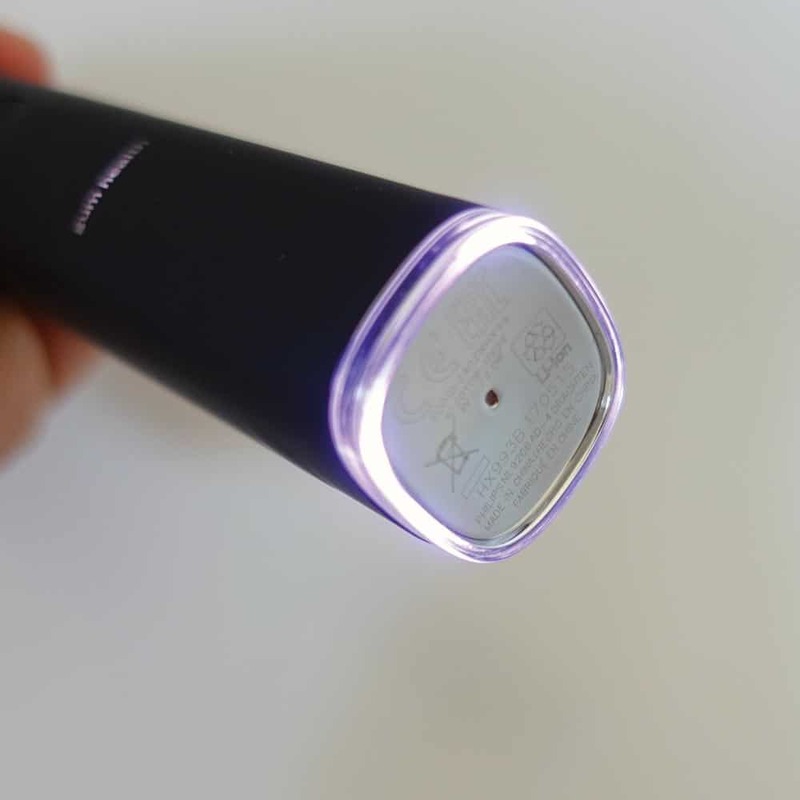 The DiamondClean has a Lithium-Ion battery, the same sort that you have in your smartphone. This type of battery lasts and performs better than older battery technology like Nickel Metal Hydride (NiMh). The automatic power off facility helps to conserve power, by turning the brush off at the end of each clean. When the battery power is getting low, approximately 10% or less, the battery indicator lights up an amber/yellow colour rather than white. Unless you are a frequent traveller, you will likely leave your brush at home. It is quite safe to leave it on the charger at all times, but with such a long battery life you do not need to, you could pack it away. The DiamondClean Smart has 2 ways in which it can be charged. Via the charging glass or the travel case. Charging glass may sound strange but that is what it is. 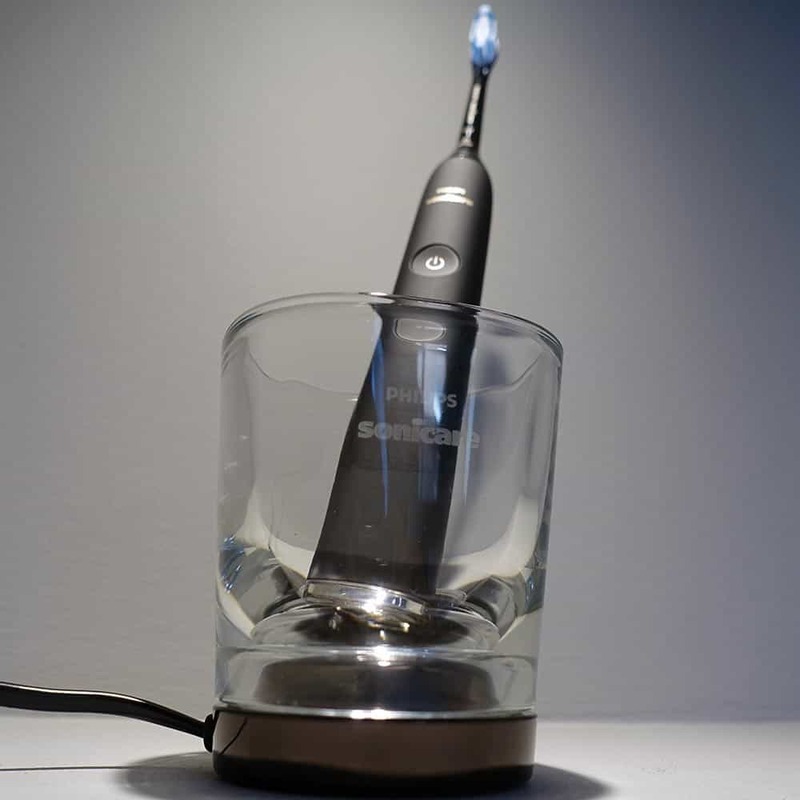 Like a small tumbler, you might have a stiff drink from, the Sonicare branded glass sits on a plate, which in turn connects to the mains power supply. 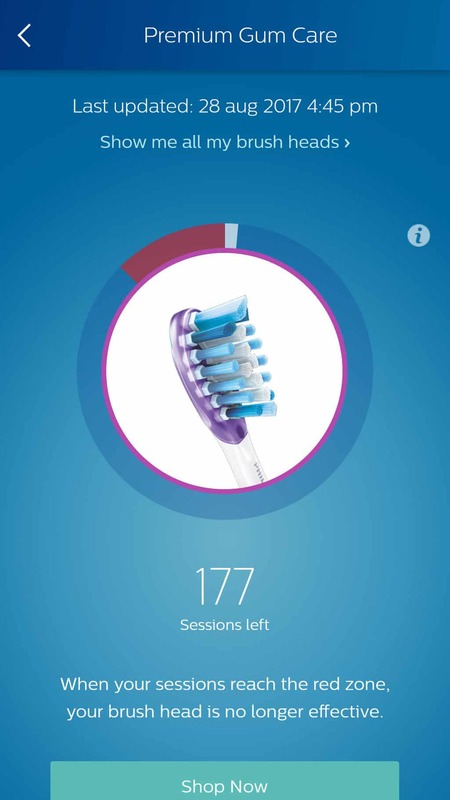 It takes at least 24 hours to fully charge your Philips Sonicare. You do not have to fully charge your handle before first use, as the handle is precharged for first use. However, it is recommended to fully charge it after first use. This charging time is longer than most other brushes, but then the battery life is quite a bit longer. Given that you don’t always need to access it, no big deal in my mind. The travel case is innovative, it is an accessory that is included with the DiamondClean, but with the Smart model we have here, an improvement has been made that rather than a detachable USB cable as before, this is now built in. With the brush handle in the case, you can now charge it but connecting the charging travel case to a laptop, a wall-mounted USB socket or a suitable wall adapter. The charging glass comes with a 100-240v power adapter. As a 2 pin configuration, this is to be connected to the power supply found in a bathroom here in the UK. Some homes (mine included) are not equipped with such. It is possible to connect to a 3 pin socket by using an adapter. 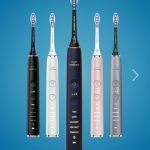 Almost all electric toothbrushes start out with a Recommended Retail Price (RRP) that is far above what they actually sell for. 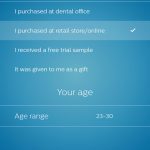 Oral-B are well known for being available at 50% or less below RRP from day one that it goes on sale. 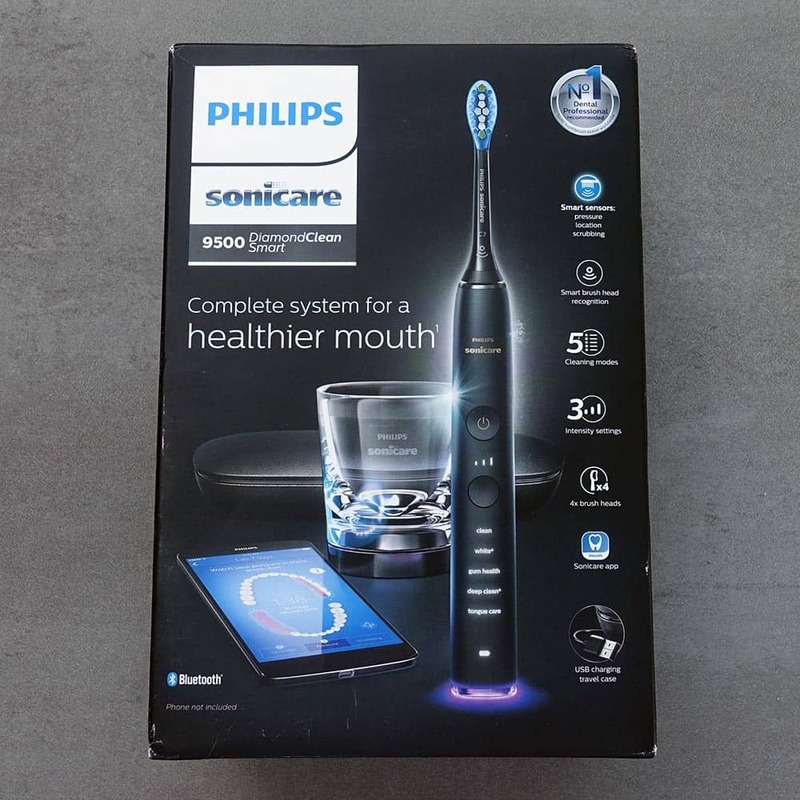 Sonicare does tend to discount, but not to quite the same degree, with Philips often being seen as the more premium brand with higher ticket prices. That said, the DiamondClean has an RRP of £299 and can be purchased today for £135. 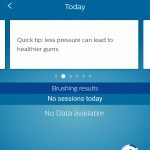 I commend Sonicare for not discounting as Oral-B do, there is value in retaining a premium price; after all many of their brushes are finished better, but the feature for pound value can be harder to justify. 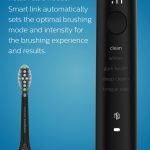 The DiamondClean Smart sets a new bar in my opinion when it comes to electric toothbrush pricing. Subject to model the RRP is some £360-380 that is incredible. The model I am reviewing here is the slightly cheaper model, the one that does not include the brush head stand. I managed to secure a launch offer that ‘saved’ £100 on the price, but even at £260 that is £100 more than I have paid for any other brush. Even if you like the finer things in life you can tell that this is expensive. Whether the price will increase or drop I do not know, but even at £260, the brush alone without replacement brush heads costs £0.24p per day to own. The average electric brush is just 7-8p. This is 3 times more expensive. Please note, as of March 2019 a new variant has been launched, the 9100 retails for £250 but forgoes some of the extra box contents of the original DiamondClean Smart models. So, to the brush heads then, well are you ready….a pack of 4 of admittedly ‘smart’ brush heads, £54! That is £13.50 per brush head. 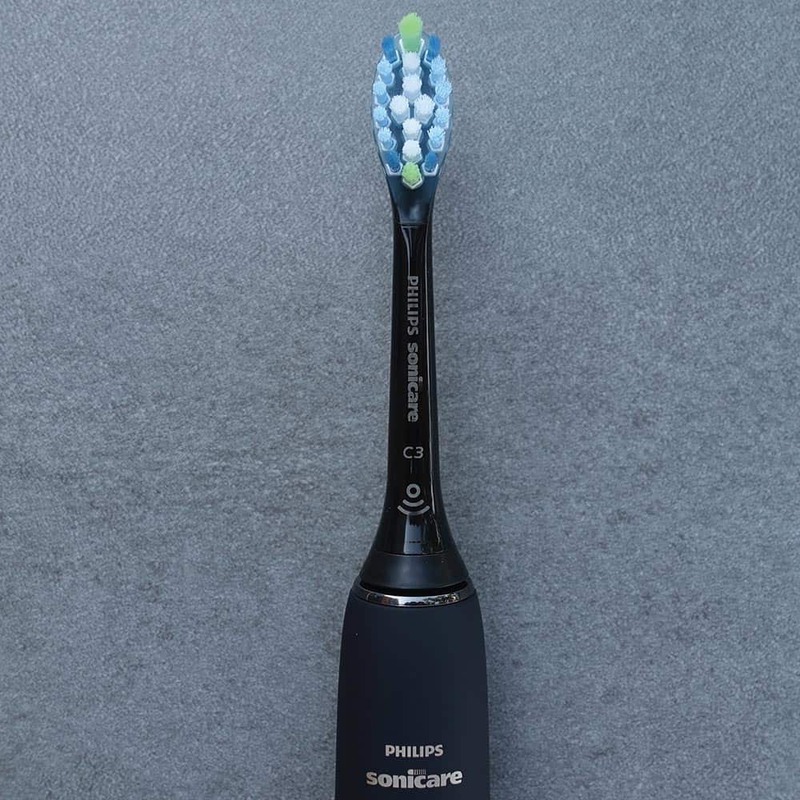 One of the most popular electric toothbrushes we recommend and users love is around the same cost of just 2 of these Sonicare brush heads. The way we usually calculate the cost of a brush here at Electric Teeth is over 3 years. Many brushes will last longer, but it gives a baseline against which to compare by. Whilst there are 4 brush heads in the box, we take the view of assuming you will like one style, the standard style. This therefore means you will need to buy a further 11 brush heads over a 3 year period. Therefore, 11 brush heads at £13.50 per time add on the £260 cost and you have a grand total of £408.50. That is a cool £0.37p per day to own. Had or if the brush was only available at the RRP, then the total bill will be £508.50 of £0.46 per day. A much more sensible and reasonable price I would suggest would be around £150, even then that is £298.50 or £0.27p per day. As much as I love what this brush has to offer, and understand the need to pay for quality and innovation, this is one bitter pill to swallow, even if you are more comfortable financially. I believe the DiamondClean Smart will be more about justifying a want and a need. 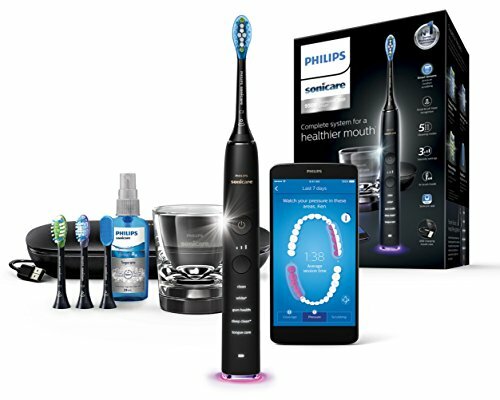 Sonicare’s FlexCare Platinum Connected, Oral-B’s Genius 9000 or Smart 6 6000 are all good options at half the price. I would say you could extend the value of this brush by sharing with others, which you can. BUT there is a massive caveat in that the tracking only works for one user. Given that so much of this brush is geared around the smart tracking facilities it defeats the point. It is not for me to tell you how to spend your money. If you like the Sonicare DiamondClean Smart and can justify the price, go for it. For your own sake, shop around or consider if this is really the brush for you. Sonicare is a brand that I have trust in when it comes to reliability. There is a certain something about their products that you can only really feel and understand when in the hand. Materials feel more premium, the edges slightly more refined and features slightly more polished. It is all very well having lots of bells and whistles but if everyday usability, practicality and performance doesn’t match up then things are not great. The DiamondClean Smart does not leave me questioning my respect for Sonicare. Solid in hand, it looks and feels the part. 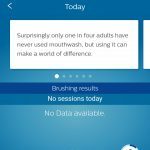 Here at Electric Teeth, we test the electric toothbrushes in a way that you would use it at home. We have tested every toothbrush we write about because that is the only way we can be so honest and direct about the points we make. To date, I have not experienced any issues with the brush and see few weaknesses. The biggest weakness is likely the user, you or I actually making full use of what is on offer here. Should the worst happen and the brush fail, then it is backed by a 2 year warranty. 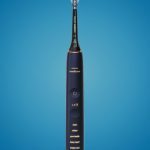 If you want to know how the Sonicare warranty works and what it covers, read more about it here. I cannot deny that this is one super impressive electric toothbrush. I am inclined to say this is one of, if not the best I have ever used. It looks great, it has all the neat features and functions that make day to deal cleaning and usability great. Battery life is right up there, the clean is good, the build quality is superb and I am certainly happy when using it. I very much doubt that your 80 year old grandparents are going to be rushing out to buy this brush. The target market is most certainly those who like technology, want the best and have a generous disposable income. Whilst most suitable for many individuals, sadly for young and old the eye watering price is what holds this brush back. 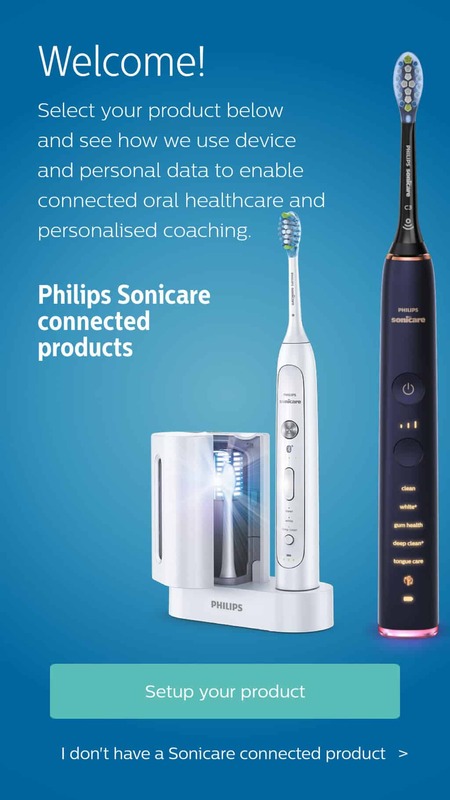 For a quarter of the price you can have a capable equivalent, for half the price you can excellent alternatives, notably the Oral-B Genius 9000 and the Sonicare FlexCare Platinum Connected. The DiamondClean Smart has to be something you REALLY want or can REALLY afford to justify this. £150 is a price that would sit considerably more comfortably with me, but I guess you have to pay for innovation and nigh on perfection?! 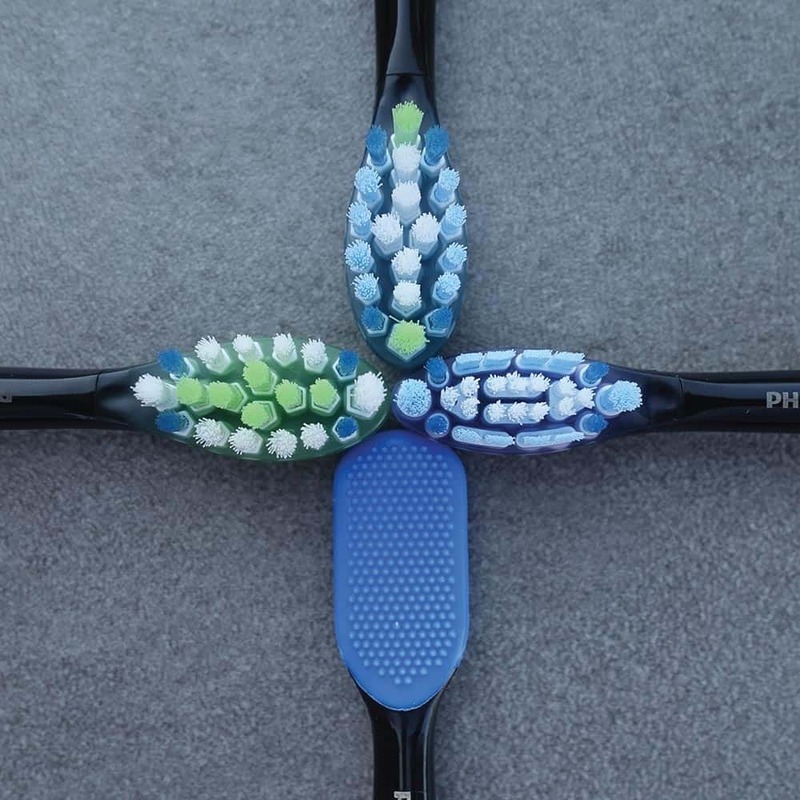 This brush offers 5 different cleaning modes. Supplied with the brush is 1 x Premium Plaque Control, 1 x Premium Gum Care, 1 x Premium White and 1 x TongueCare+ tongue brush head. 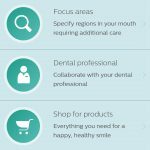 Sonicare compatible heads include DiamondClean, ProResults, ProResults Gum Health, Sensitive and InterCare. Yes, it does. The warranty is for 2 years. The charger is a 2 pin/prong charger designed to be used on voltages of 100-240 volts. It is a 2 pin charger suitable for connecting to shaver sockets found in many bathrooms in the UK & Europe. If you do not have a shaver socket, you can purchase an adapter that will allow the charger to be connected to a standard 3 pin UK mains socket. Yes. The DiamondClean Smart comes with a hard travel case that holds the brush and up to 2 brush heads. 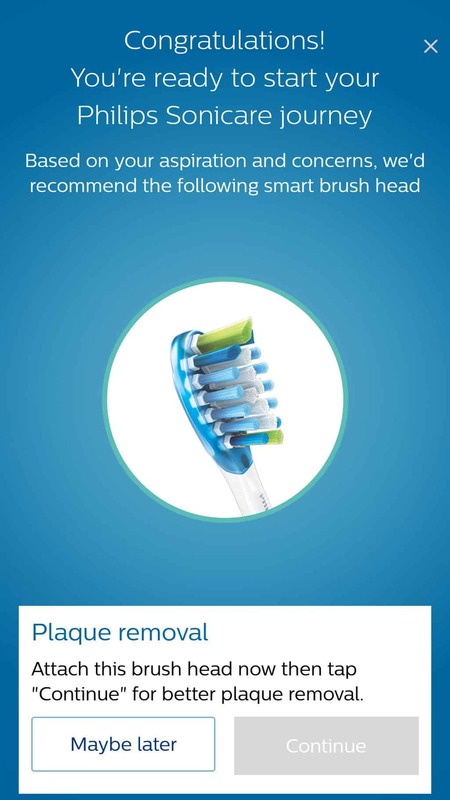 All Philips Sonicare electric toothbrush brush heads that snap on will fit your DiamondClean Smart toothbrush. However, not all can be used for Smart mode pairing. For smart mode pairing, you need only those with the smart brush head icon (looks like a wifi signal) at the base of the brush head. Can I activate or deactivate the pressure sensor? 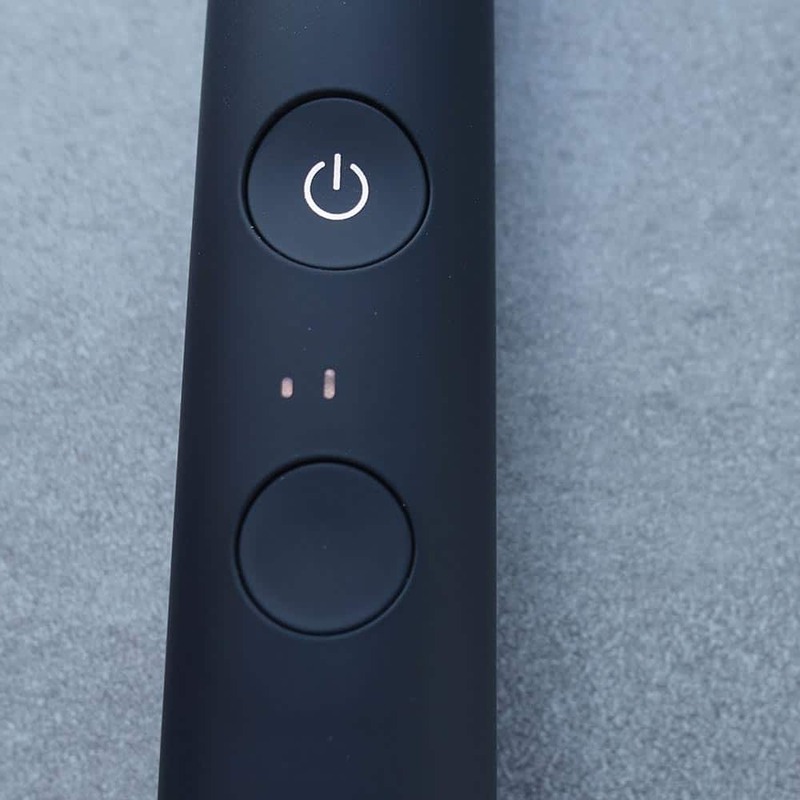 The pressure sensor is enabled by holding the mode/intensity button and by pressing the power button twice while on a charger. The handle will beep twice to confirm it is enabled. 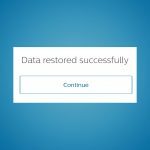 How do I activate or deactivate the Easy-Start mode? Easy-start is disabled by holding the mode/intensity button and by pressing the power button once while on the charger. The handle will beep once to confirm it is disabled. 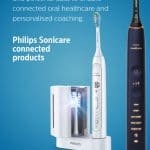 Don’t buy Philips Sonicare toothbrushes!! Whilst they do clean teeth better than rotary brushes they do not last. We have had lots of problems with the holder switching itself on and off in the early hours of the morning. 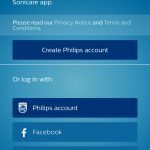 Philips reluctantly replaced the faulty handset within the warranty period, but the replacement is now acting in the same faulty way. There are lots of public reviews online showing that this is a common fault. Are you are happy to pay £2/300 for a brush which will last two years at best? Where do we put the additional brush heads if there’s no case for more than 2 ? Its ridiculous that the Blue ver case isn’t a standard like it happens with Oral-B. Agreed, it would be nice if some sort of brush head storage unit was provided. Something like this brush head stand from Roch, might be an option. 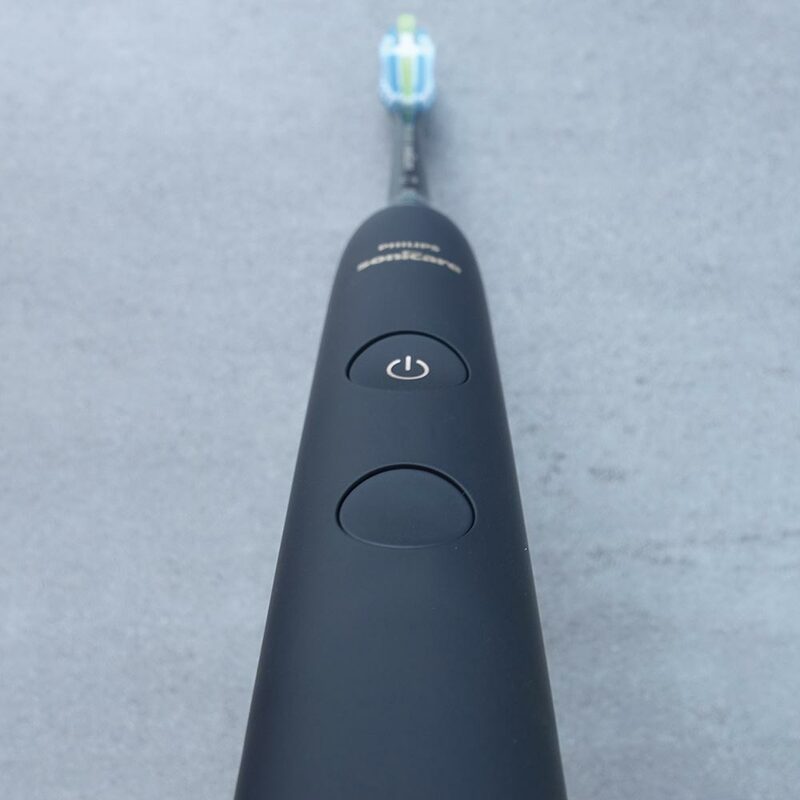 Do you know if the previous (gen 2) inductive cup charger will work with the new smart DiamondClean brush? Yes it will to my knowledge Jeremy. 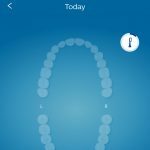 Is there a Sonicare electric toothbrush that has all the teeth cleaning settings exactly as the DiamondCleanSmart, so including the tongue care, the three intensity settings and the pressure sensor without all the smart app etc? I just want all the cleaning features but not the app tech. Hi Katie. No, not that I know of. 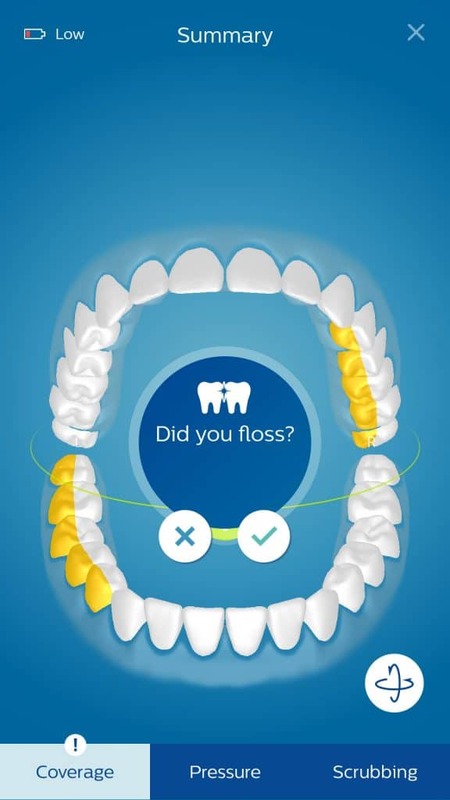 You don’t have to use the Bluetooth/App even-though it is available, the brush will work without connecting it to a smartphone.